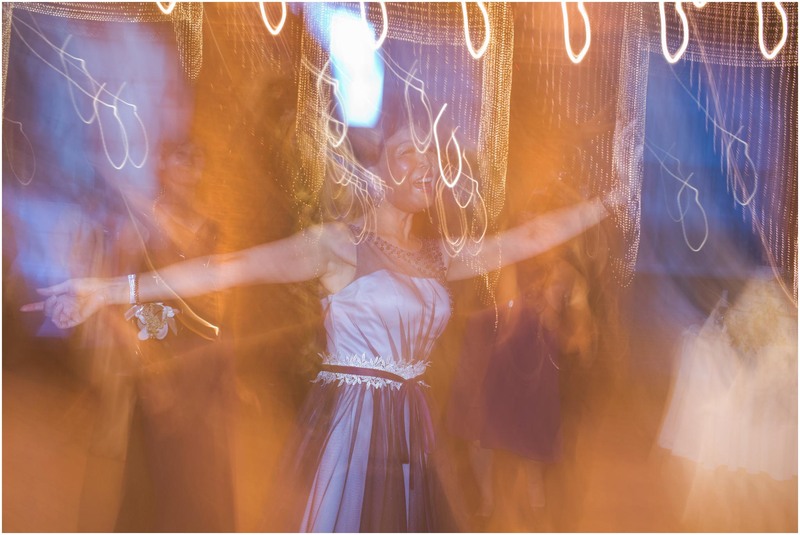 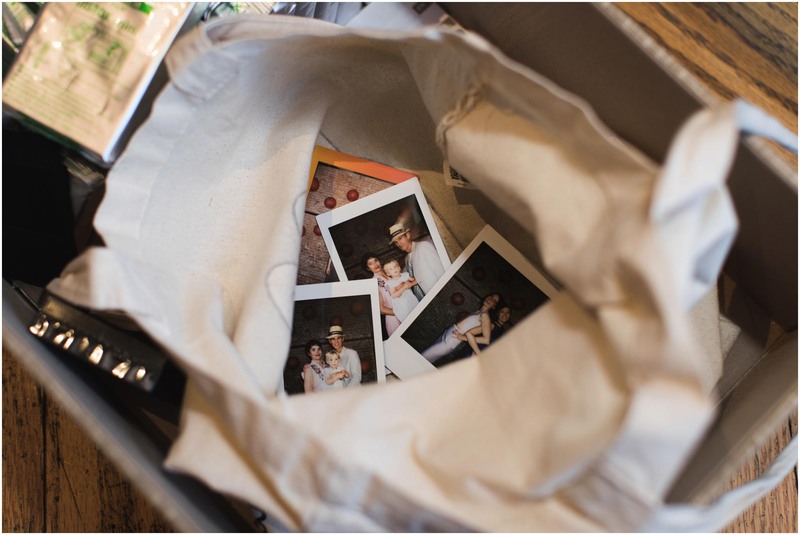 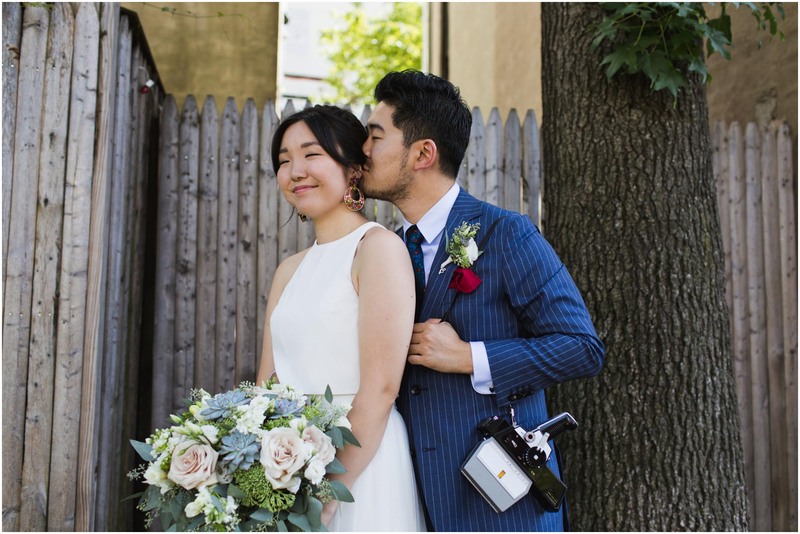 It always means a lot when creative couples trust me with their wedding photos. 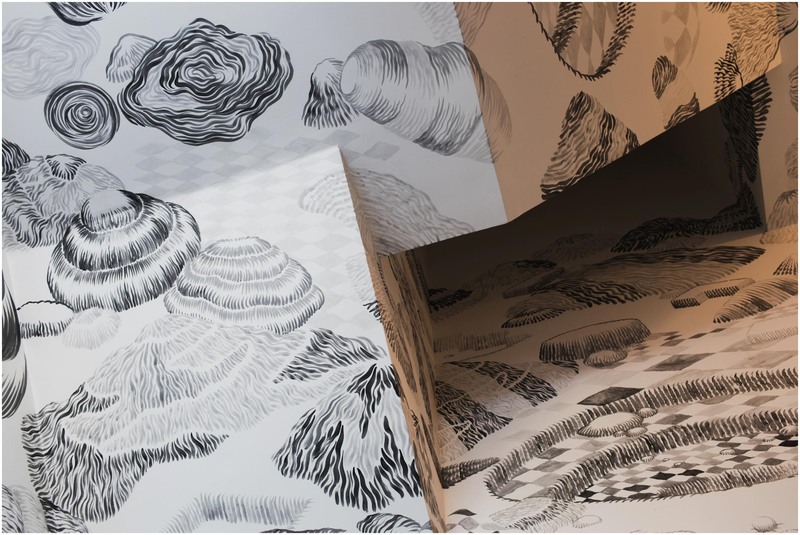 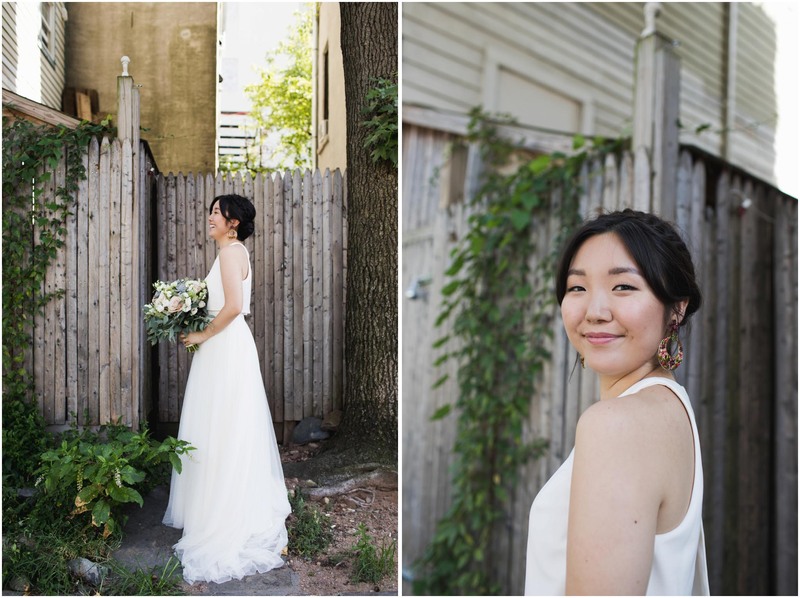 Hannah is an illustrator and John is a filmmaker, so I was really excited to work together for their wedding. 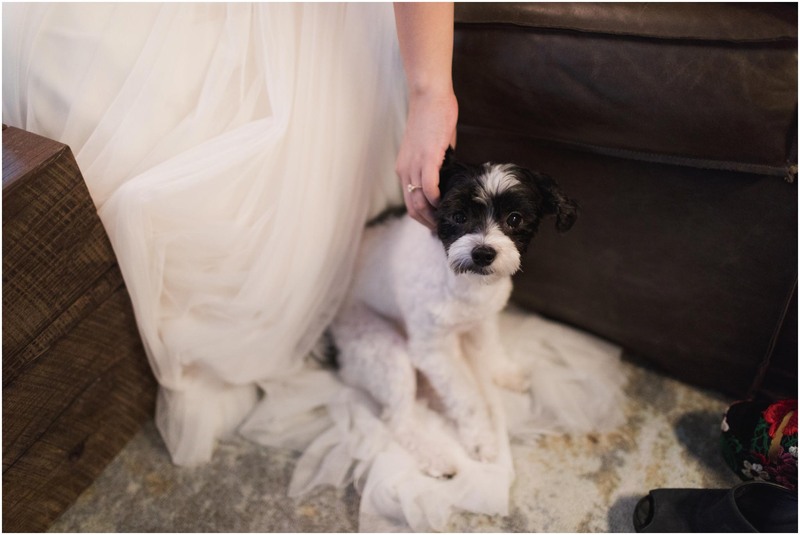 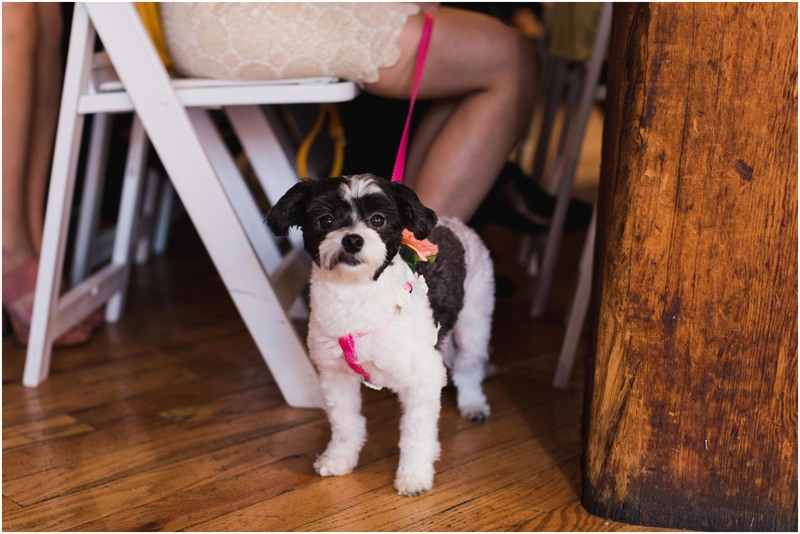 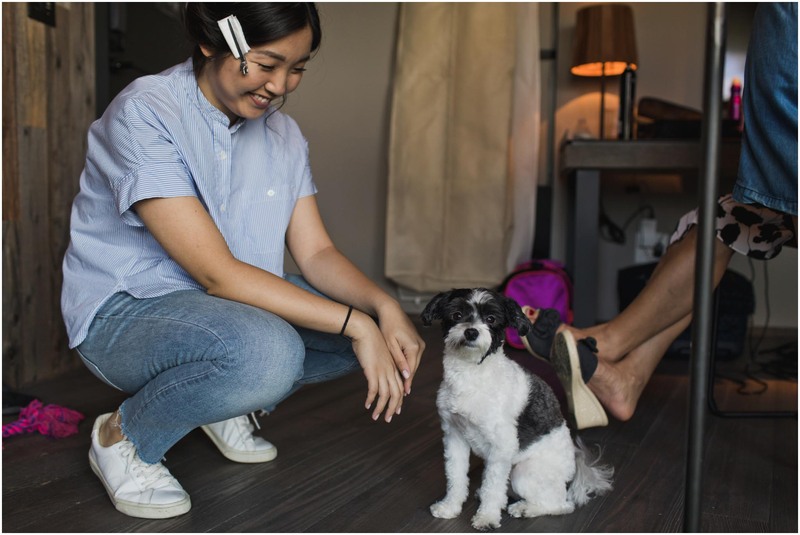 Also, they have the cutest dog named Little Bear (aka @boosecaboose), who I was looking forward to finally meeting. 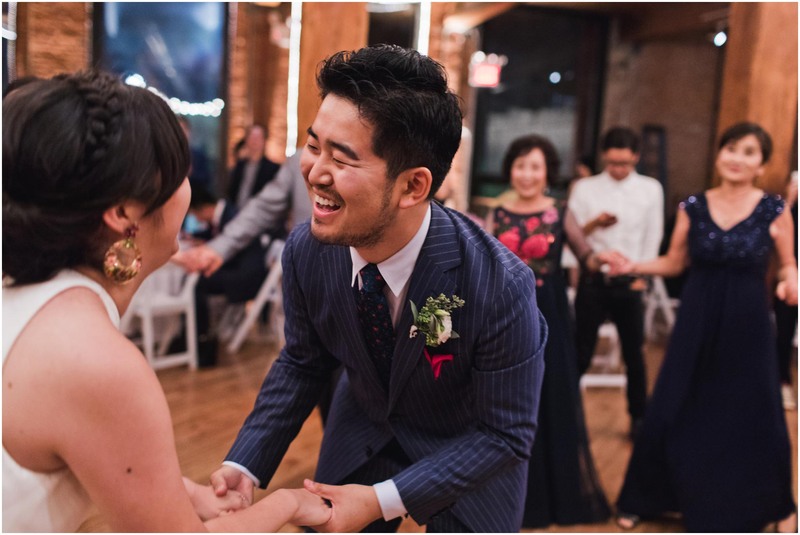 Everything about the day was incredible. 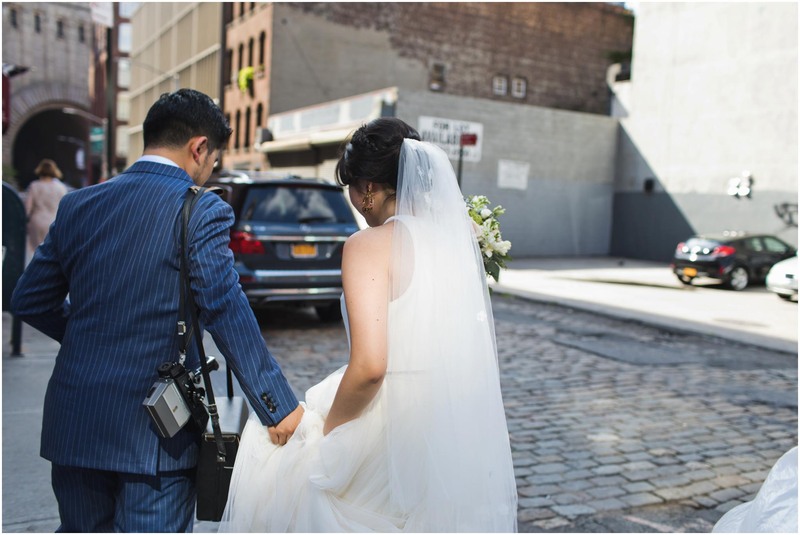 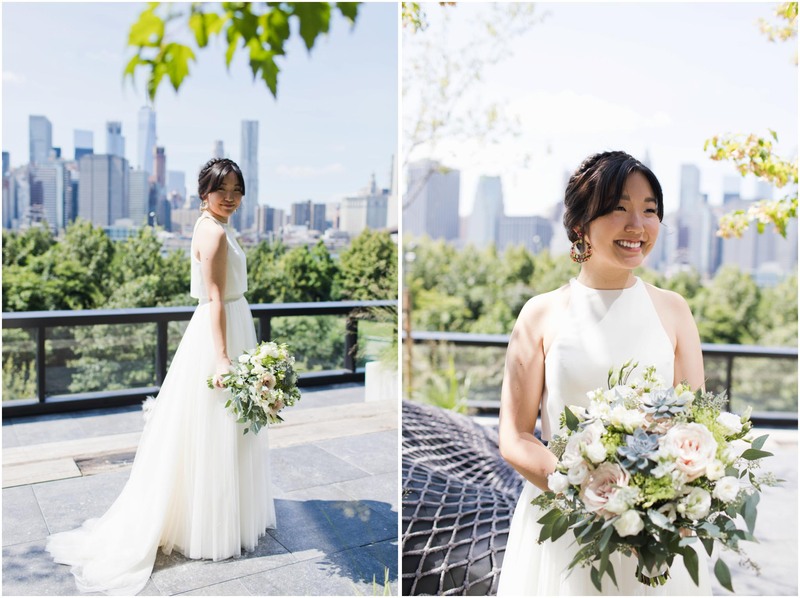 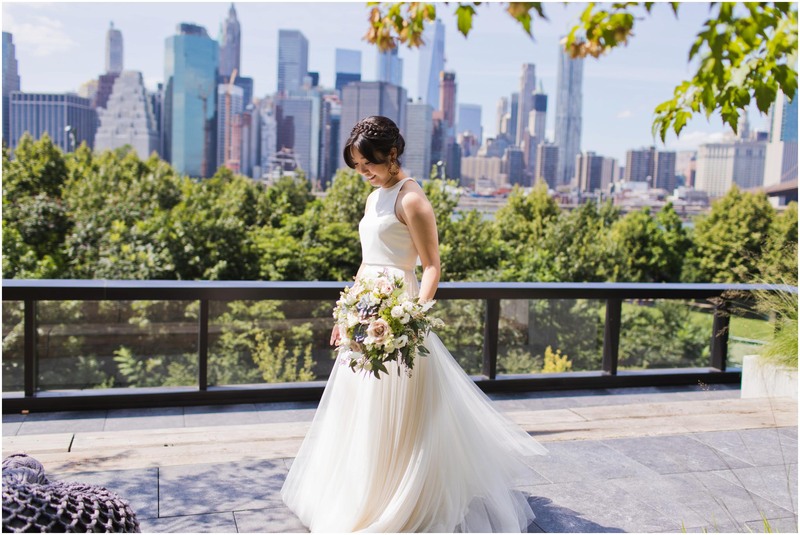 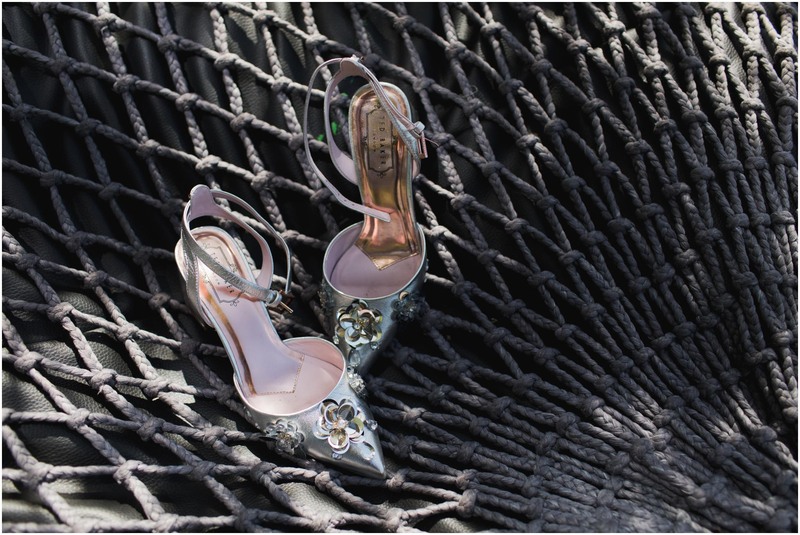 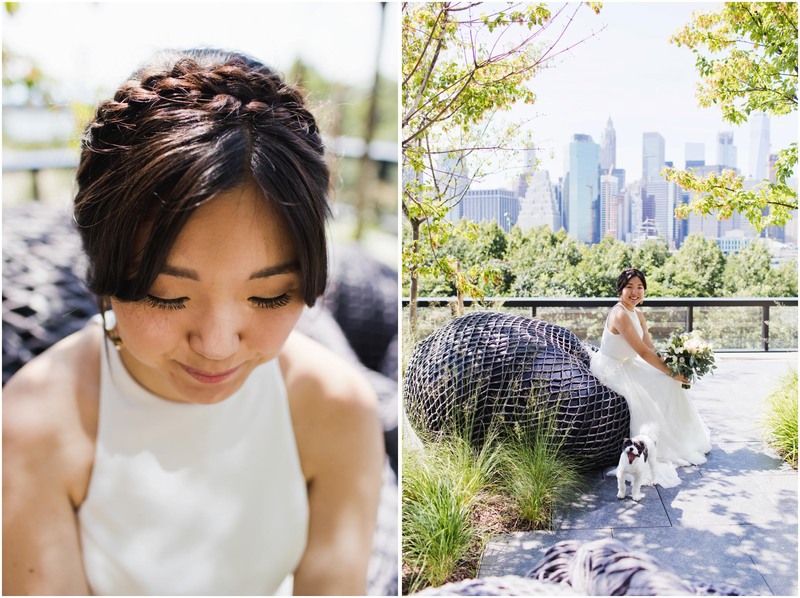 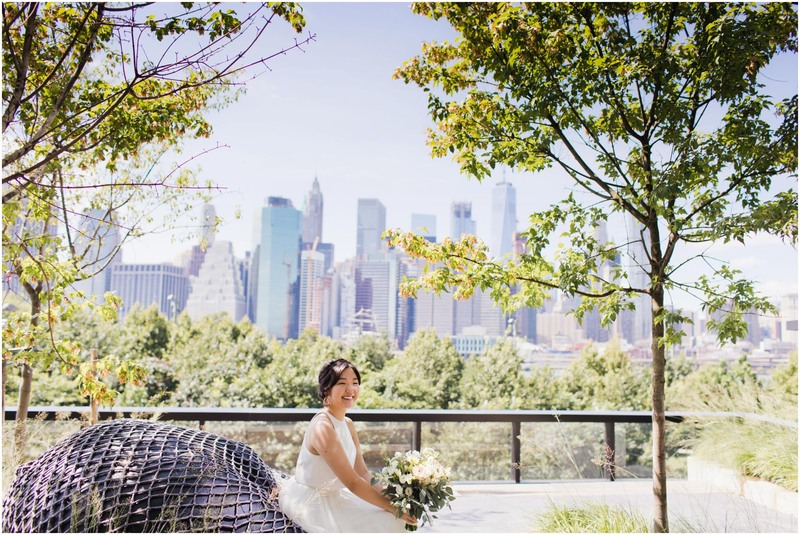 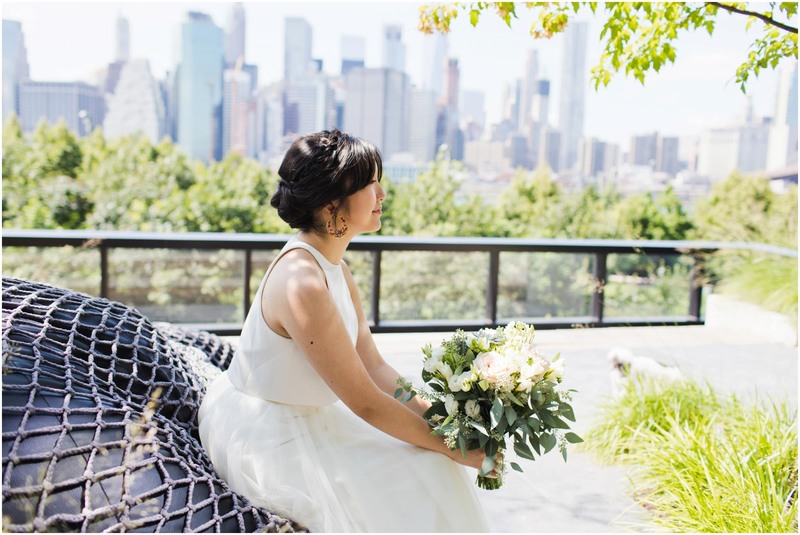 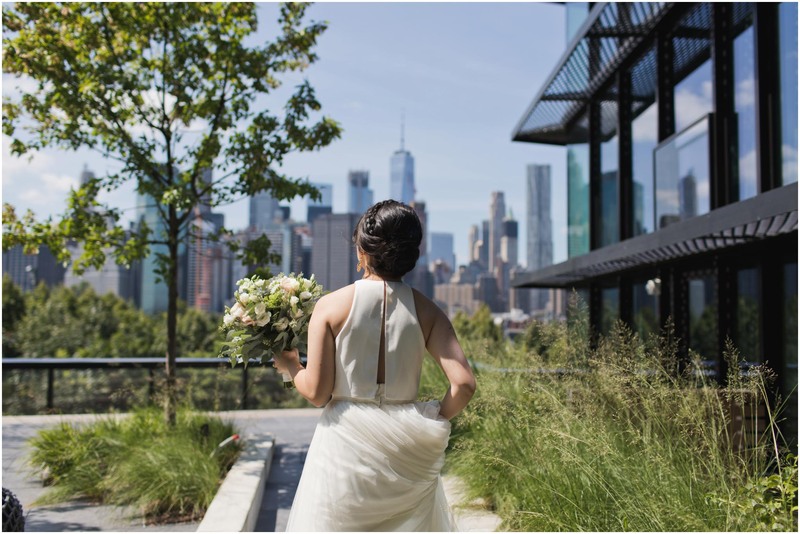 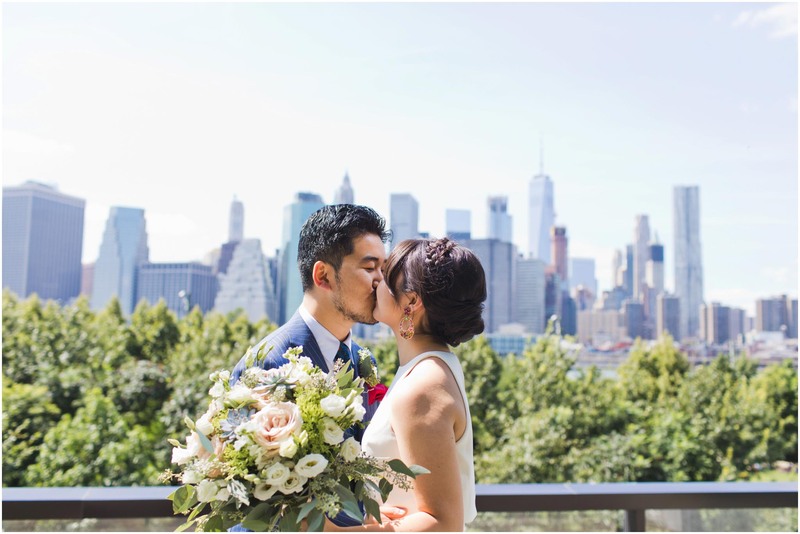 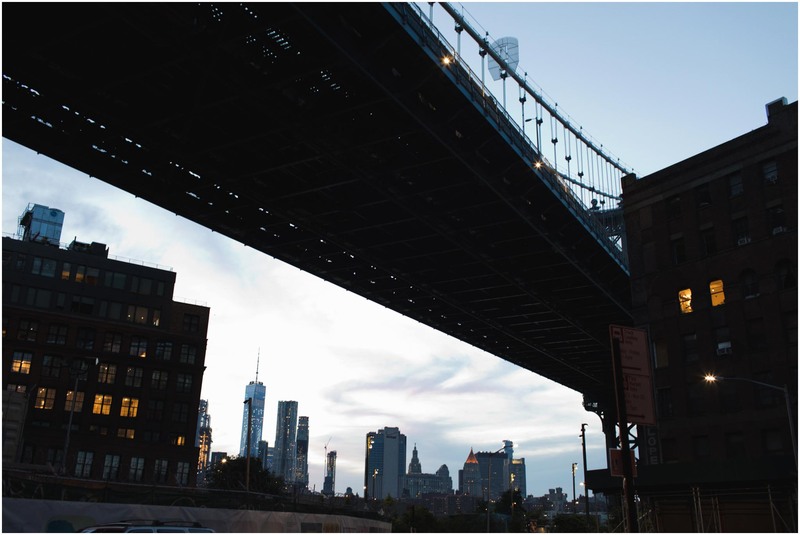 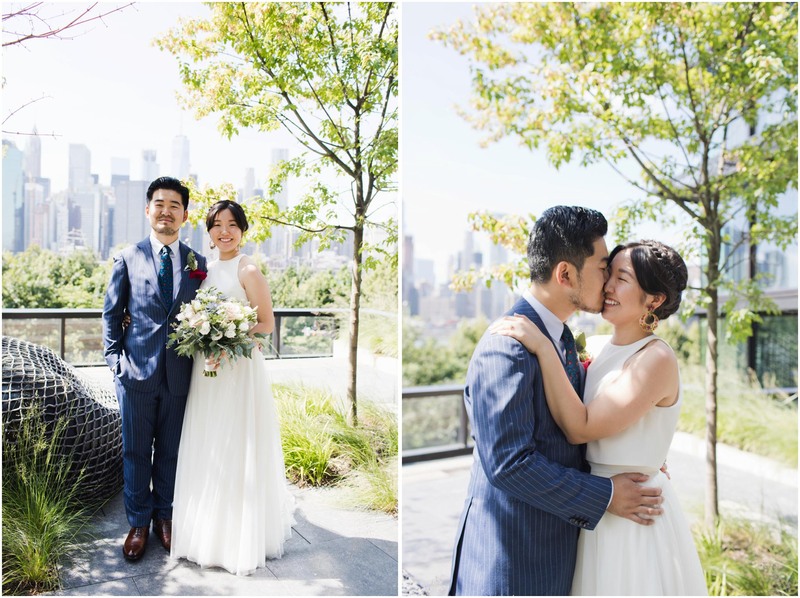 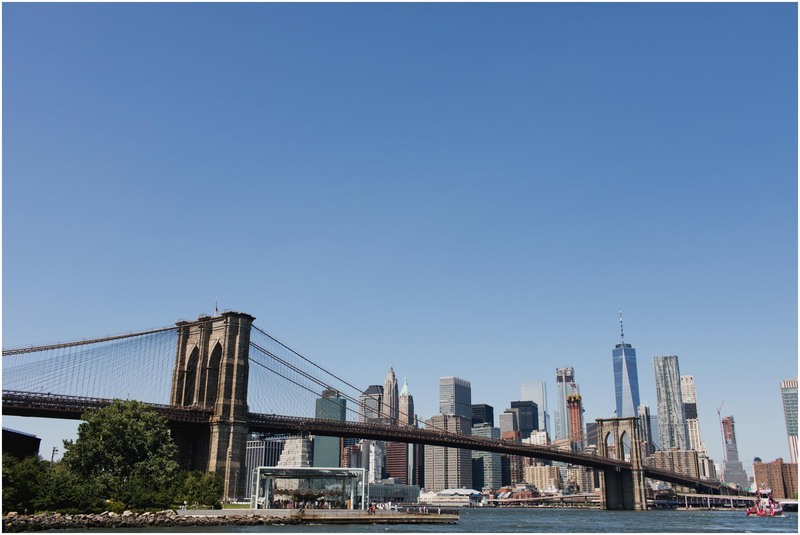 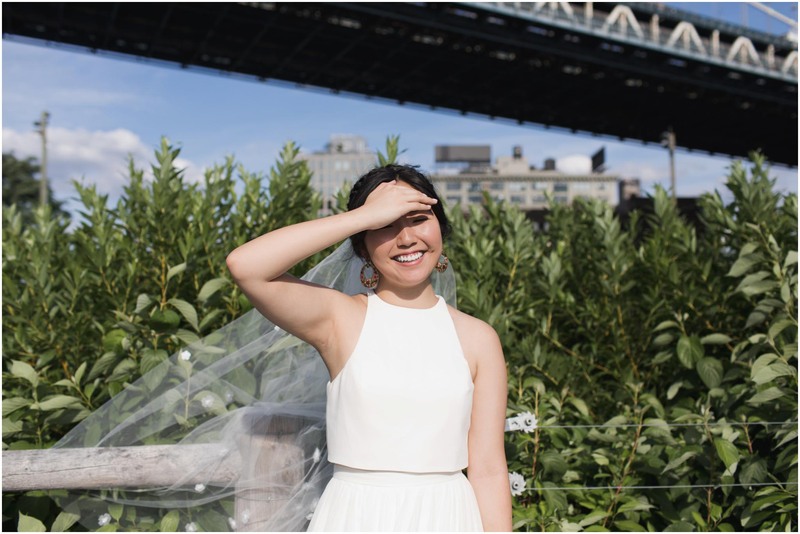 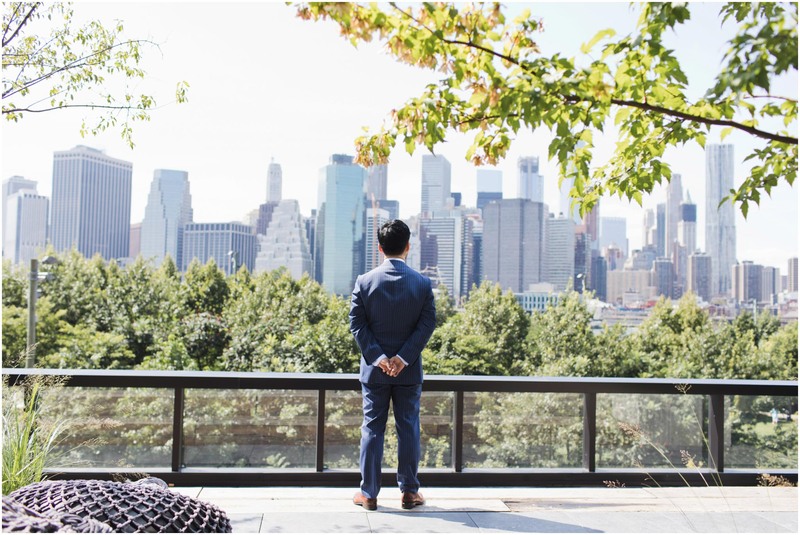 The view of the skyline from the private foyer at 1 Hotel Brooklyn Bridge was the perfect location for a first look. 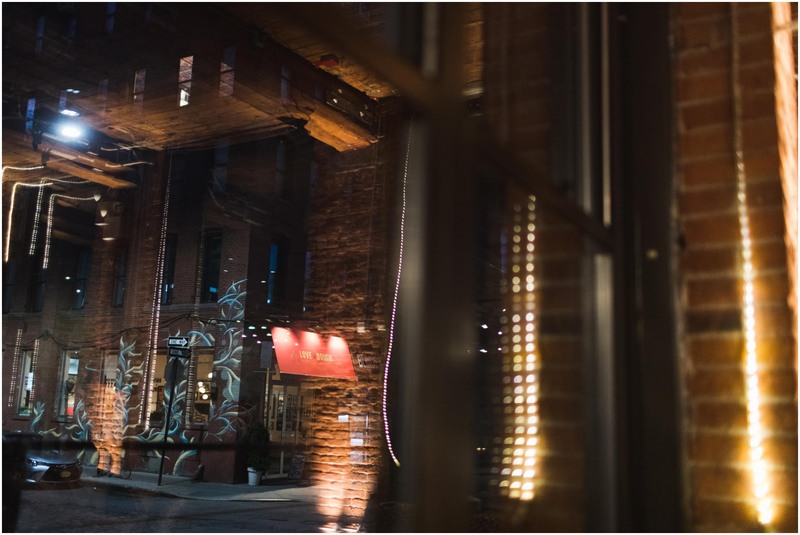 We took advantage of the hotel’s courtesy Tesla ride (!!) 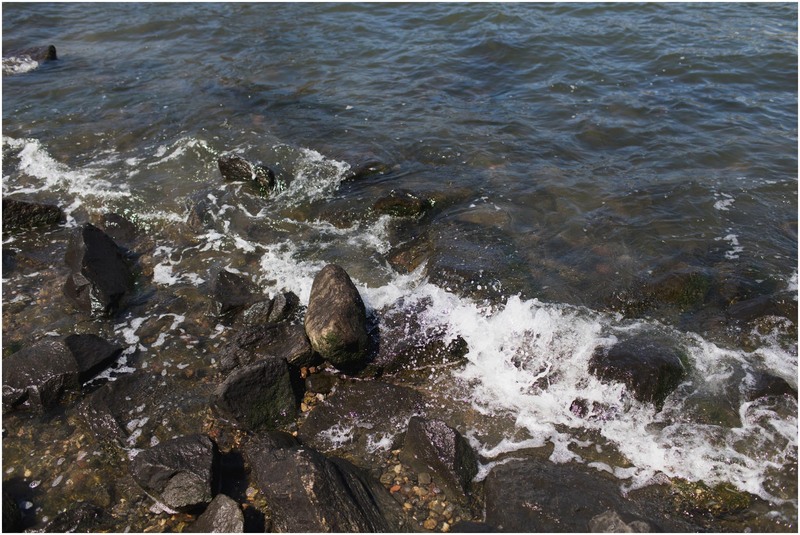 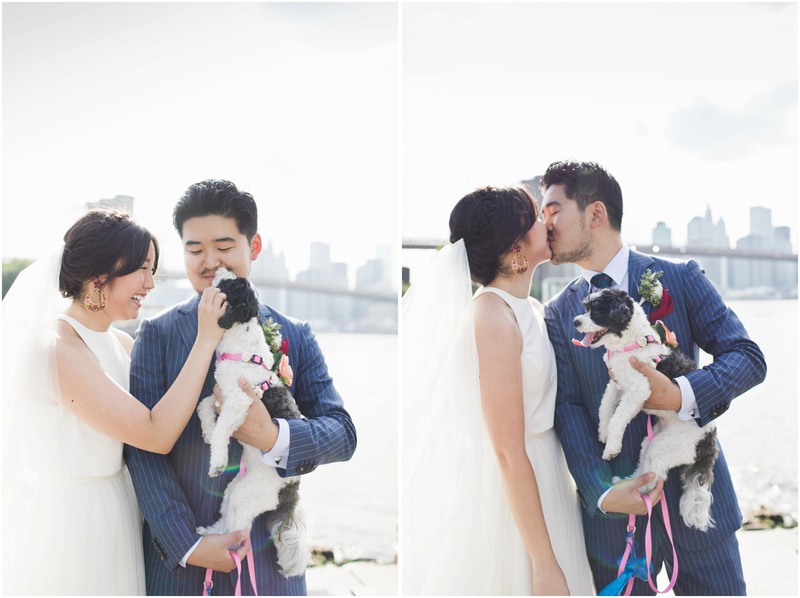 to take some portraits around Brooklyn. 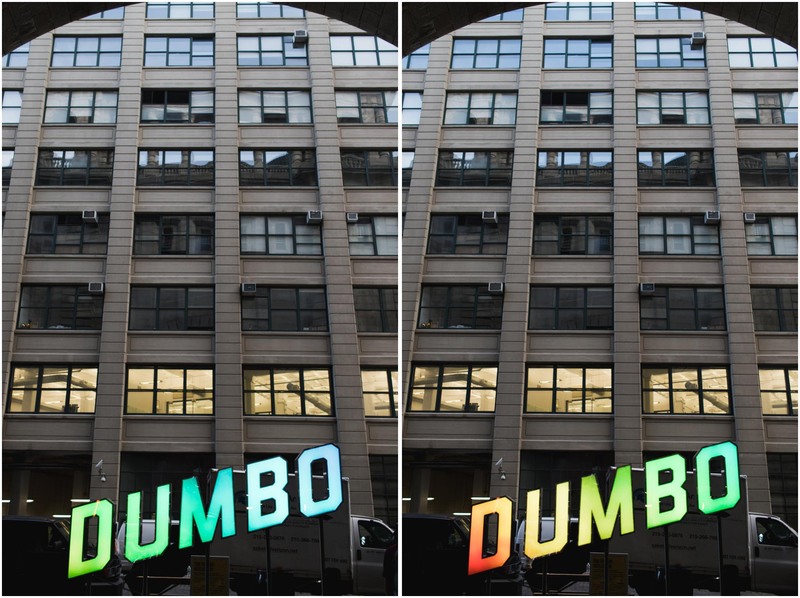 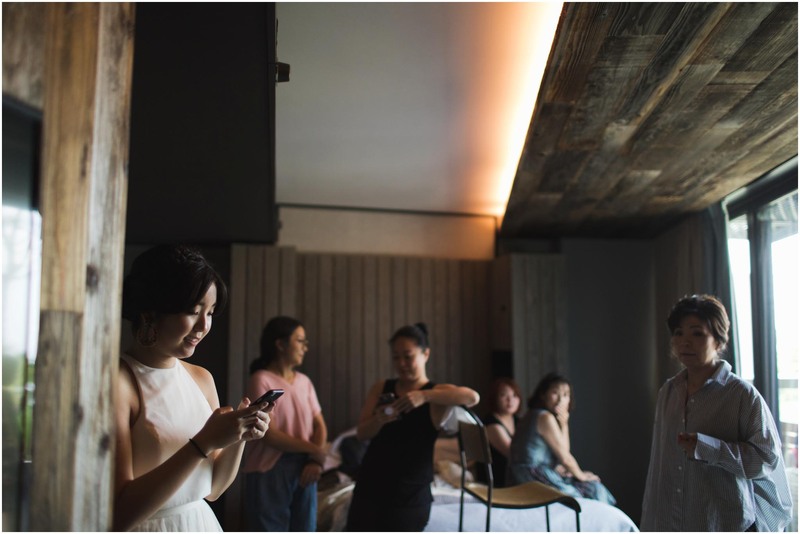 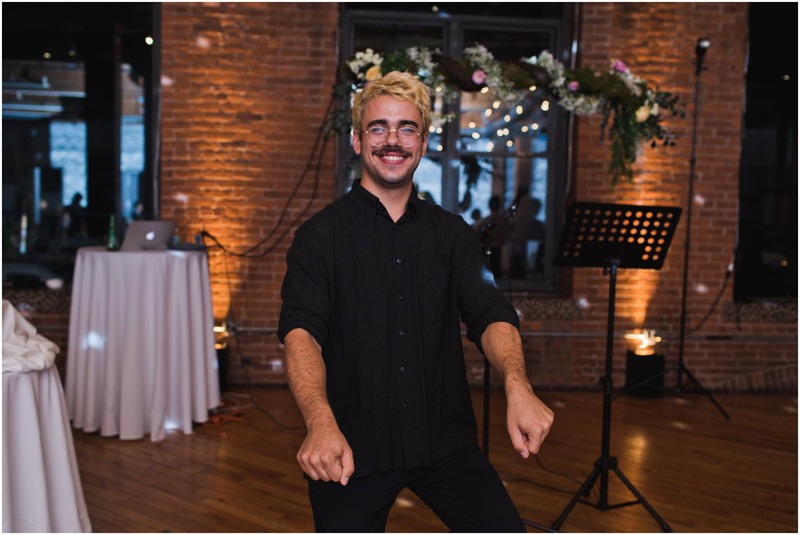 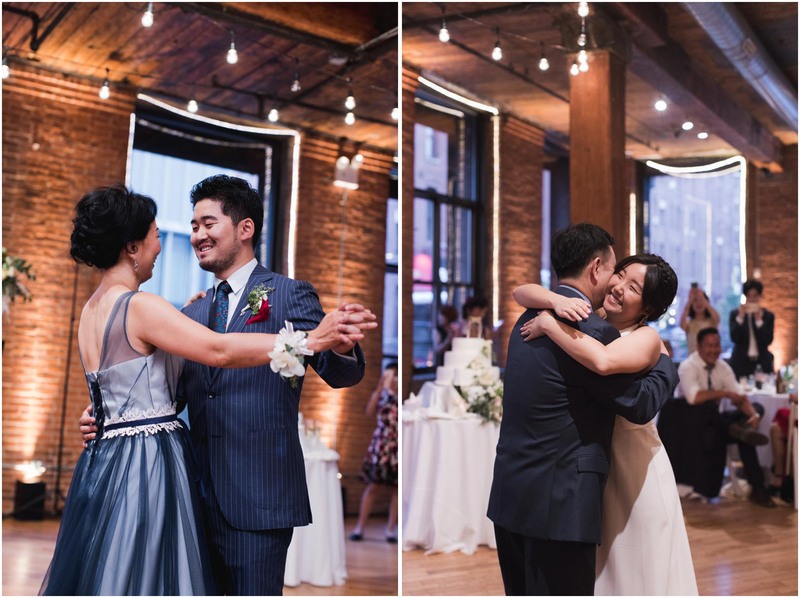 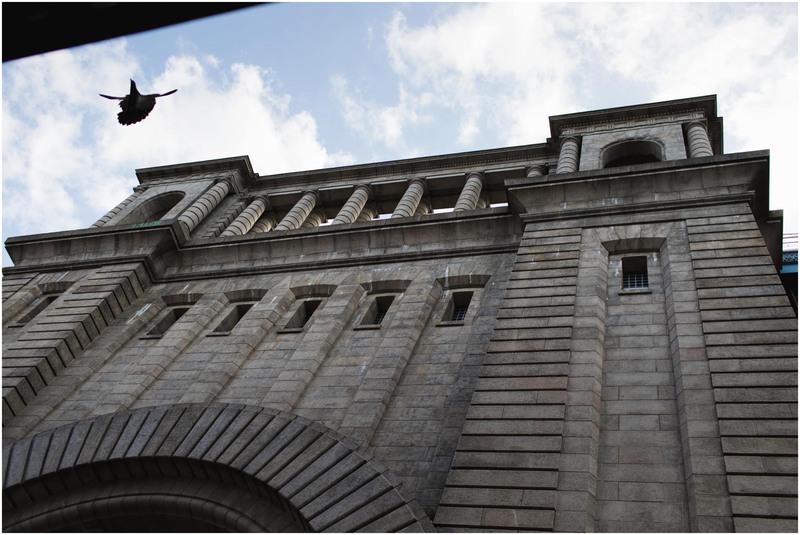 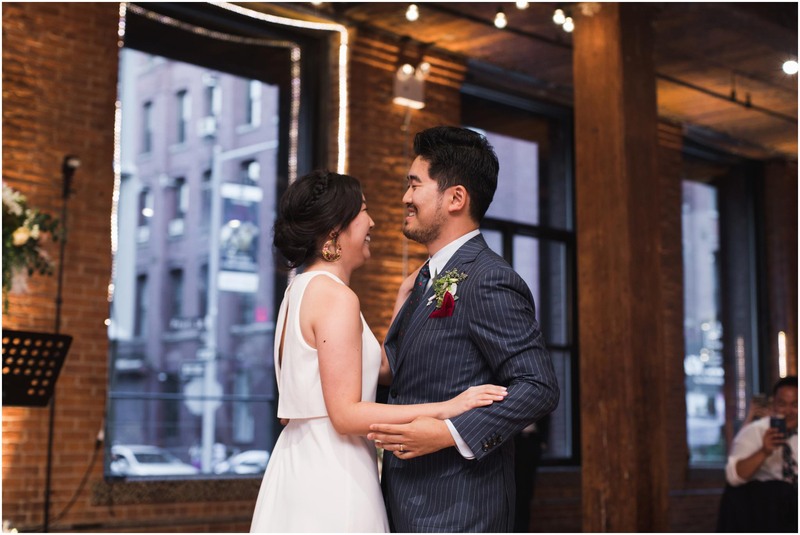 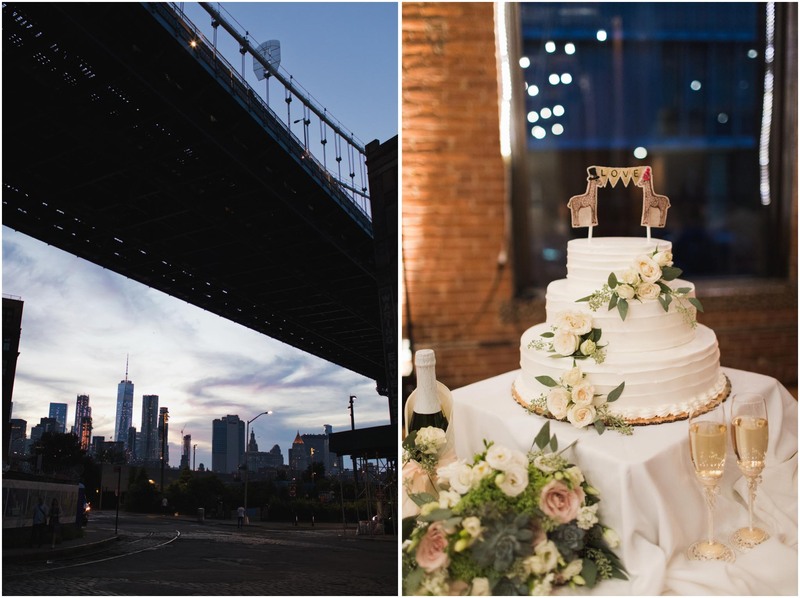 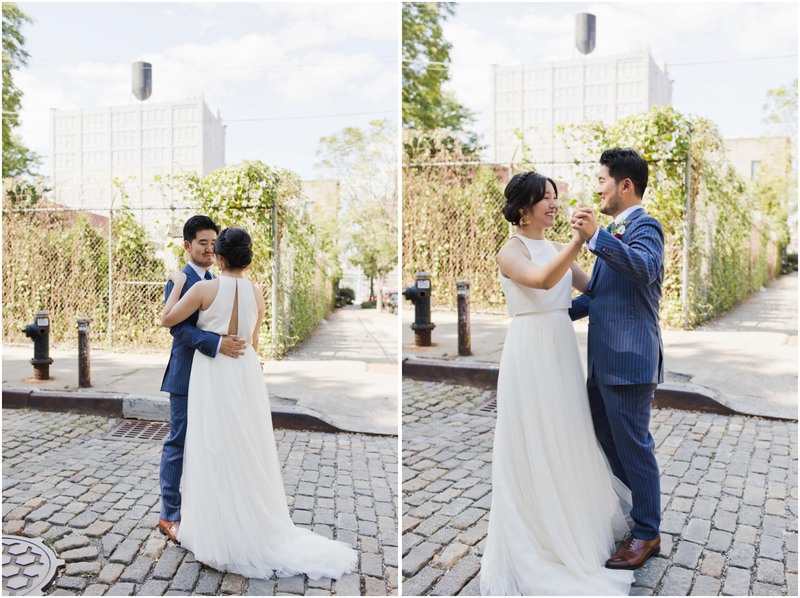 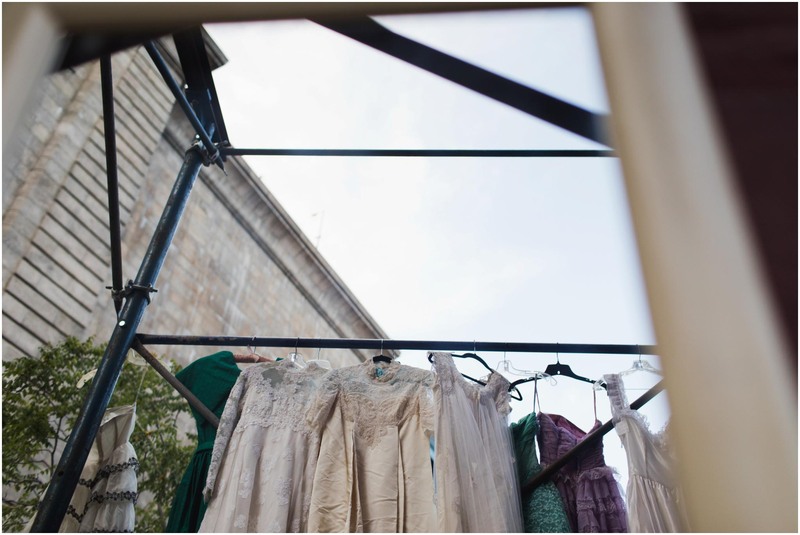 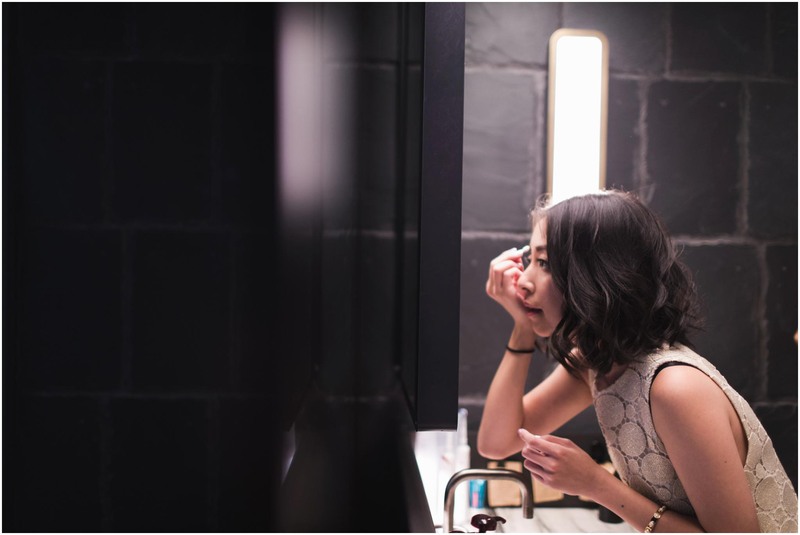 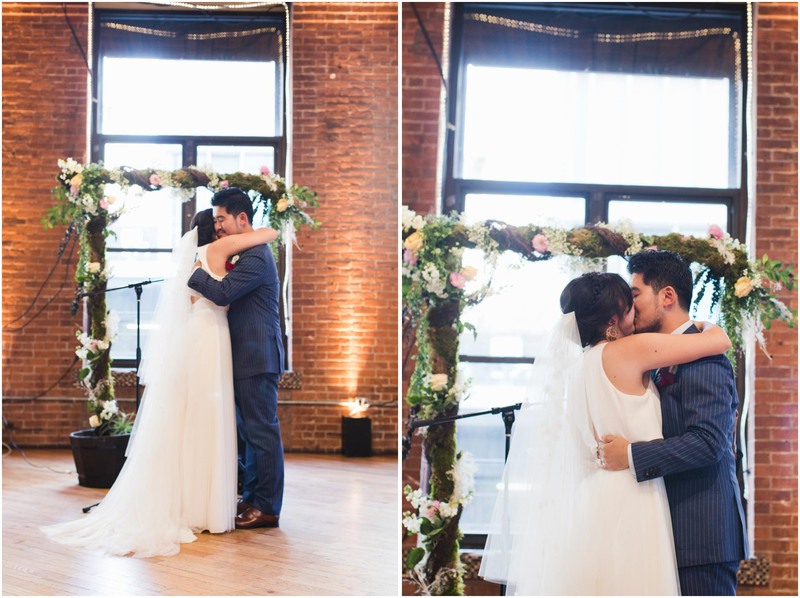 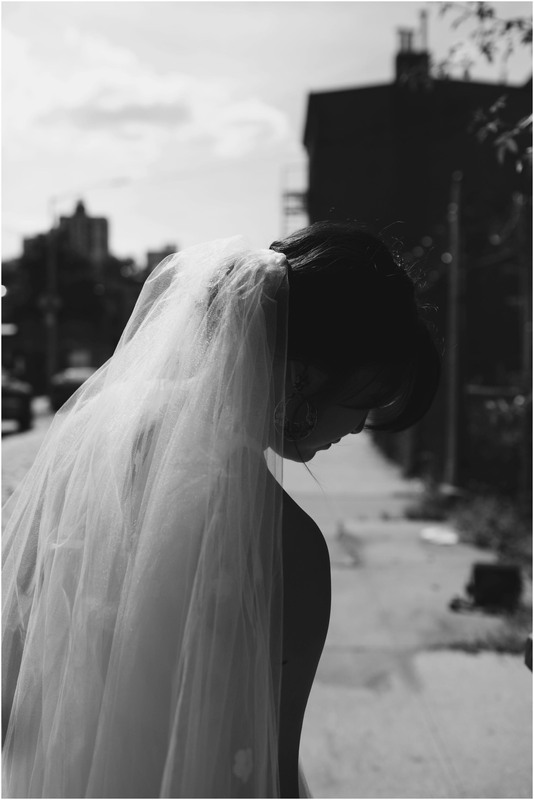 After some slow dancing on cobblestone streets and super 8 filming, we headed over to their wedding venue, The Dumbo Loft. 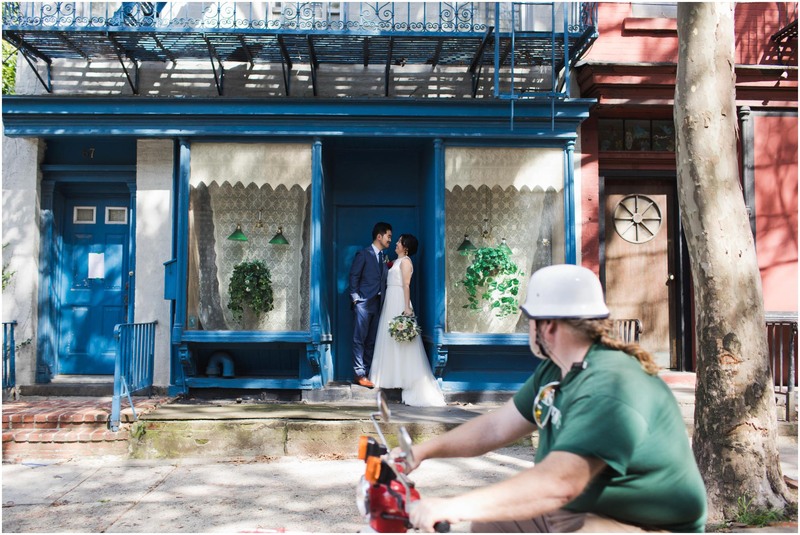 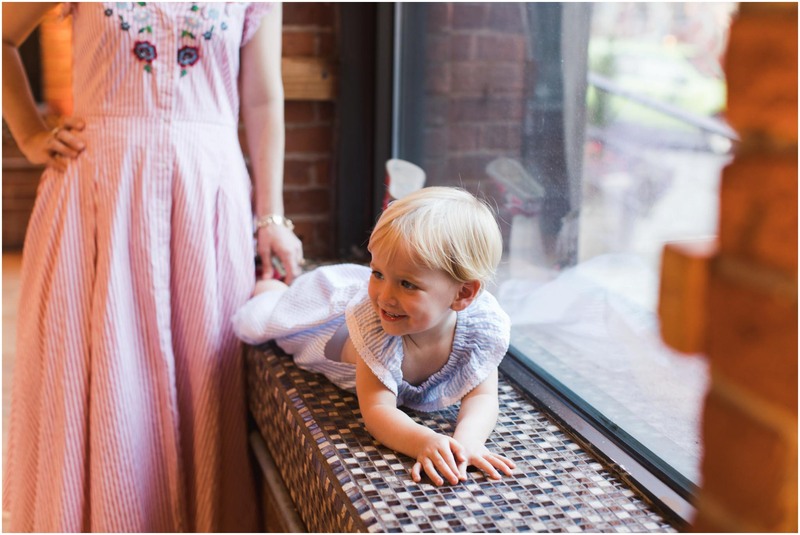 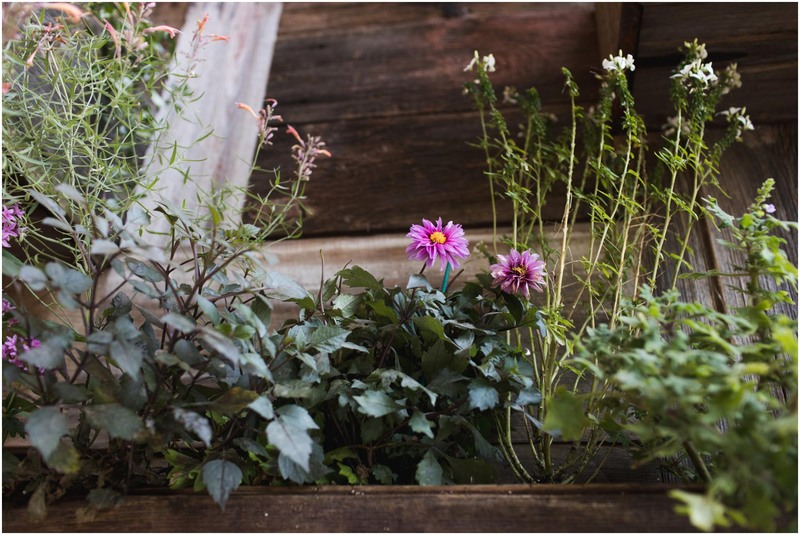 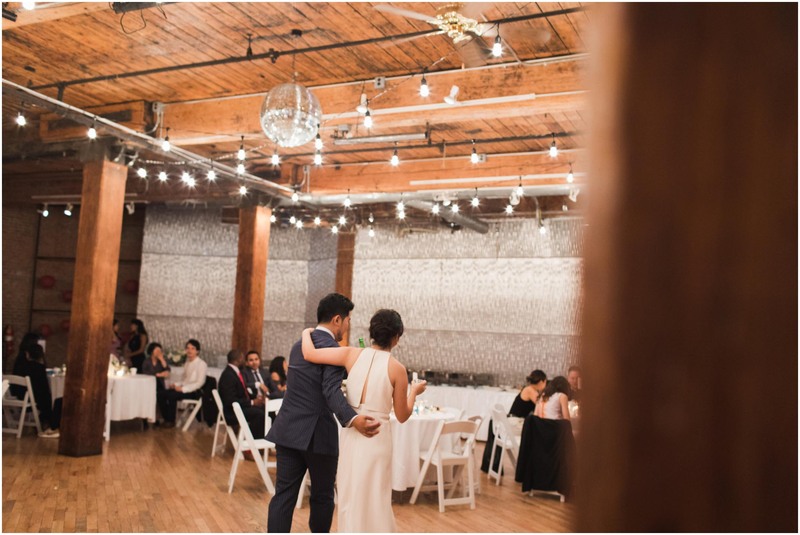 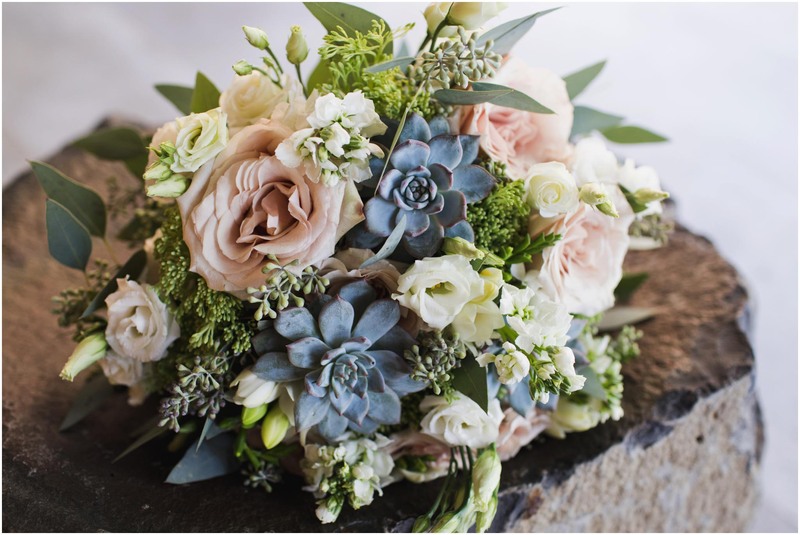 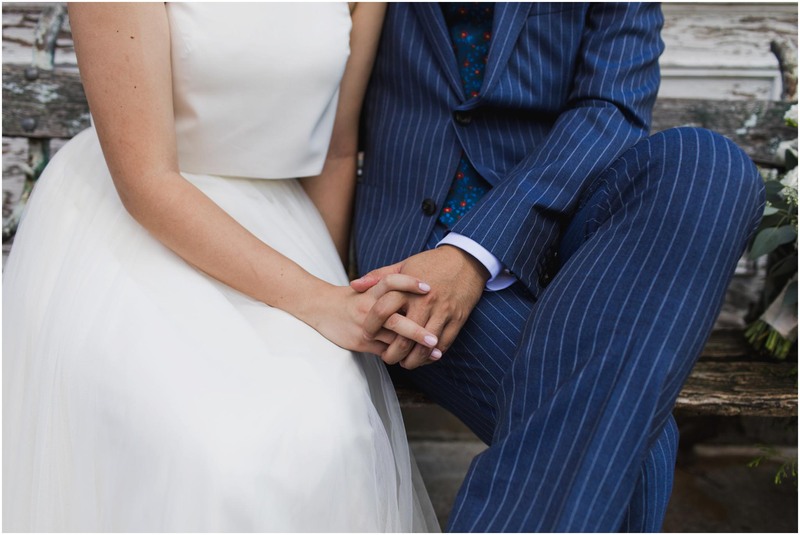 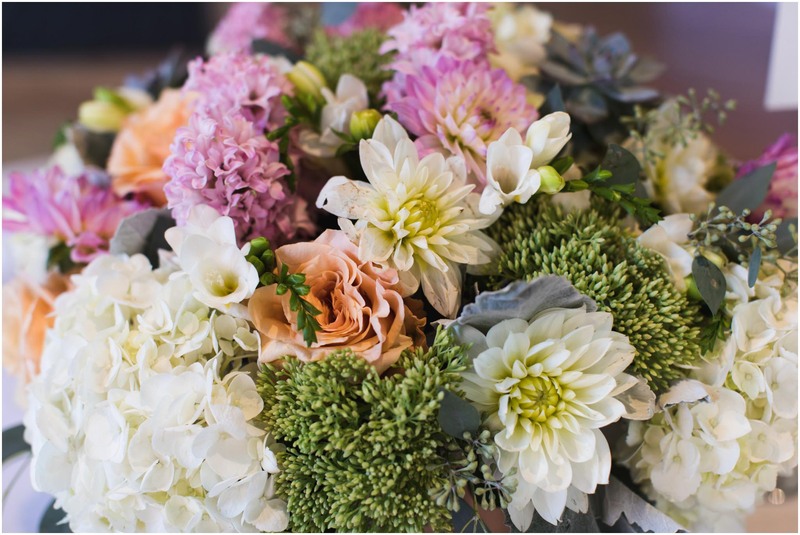 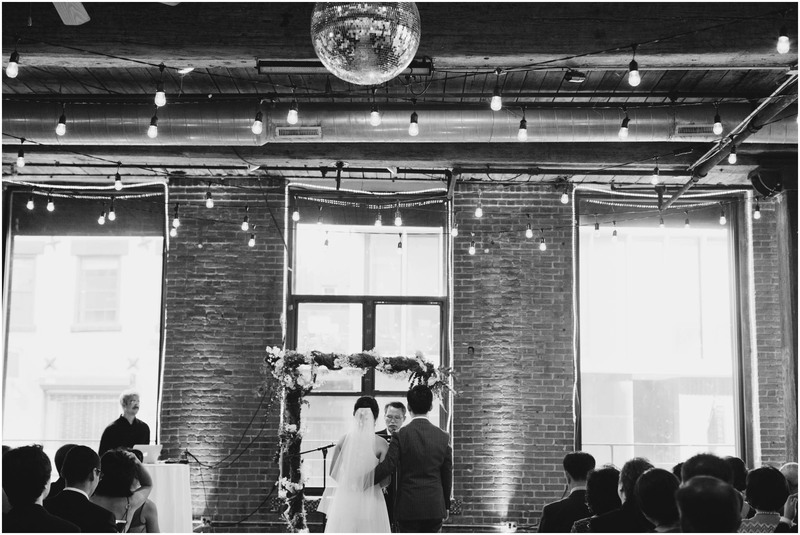 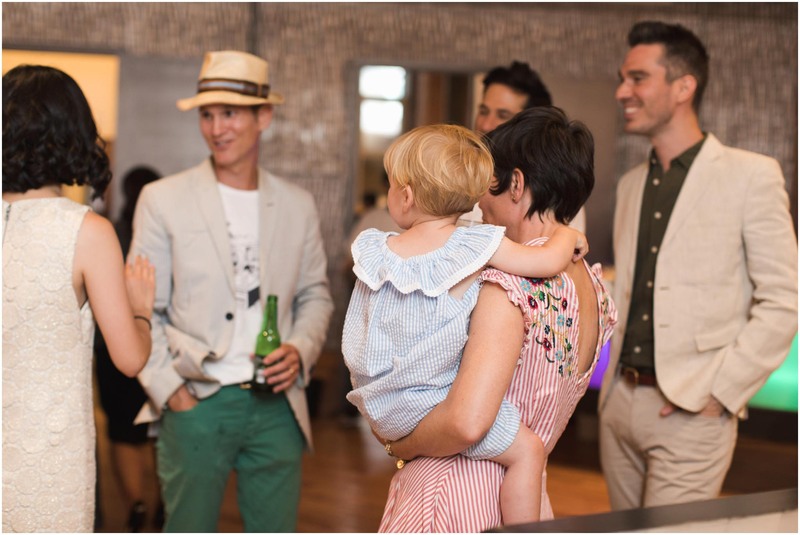 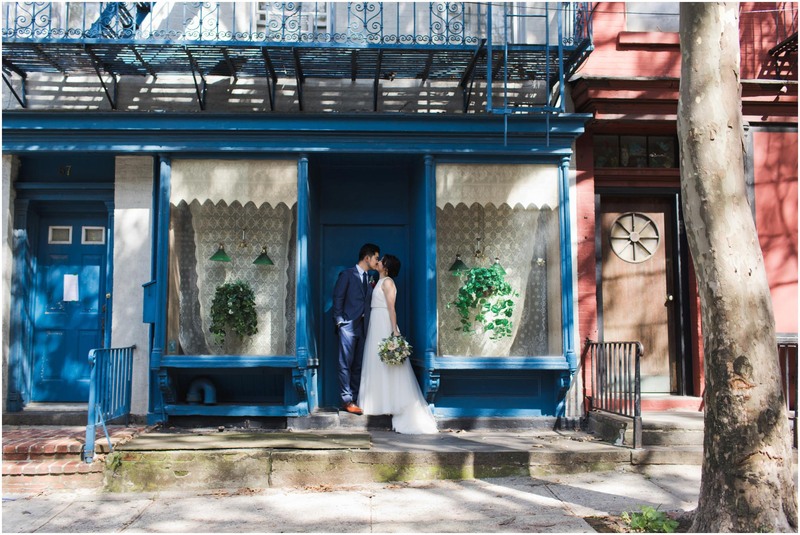 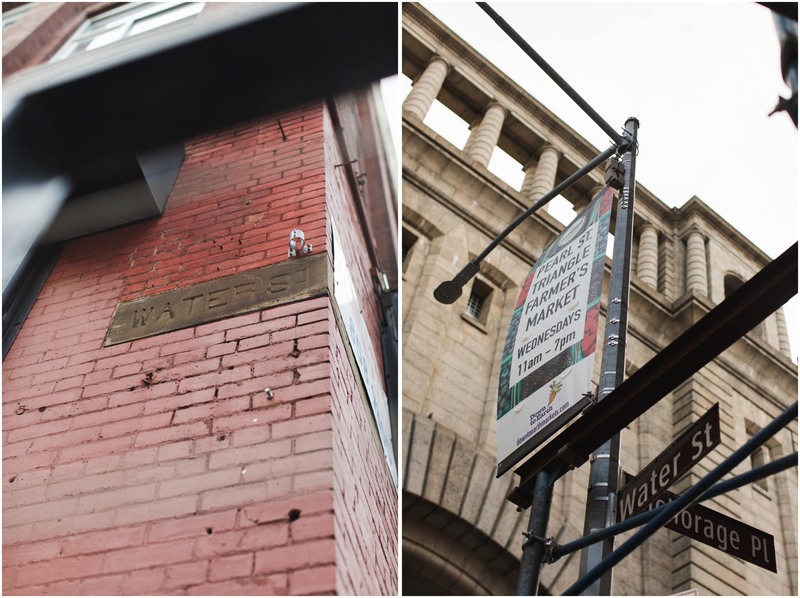 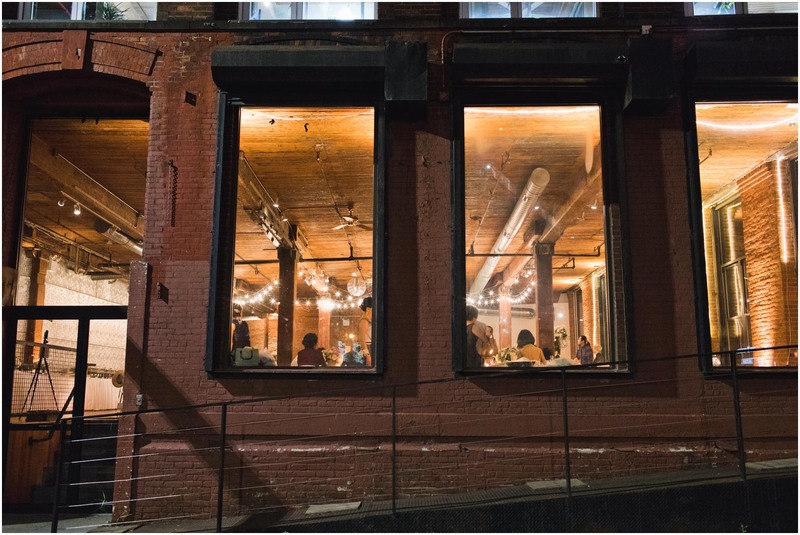 Hannah and John met a block away from the Loft six years ago at a creative agency, so it was fitting for them to get married there. 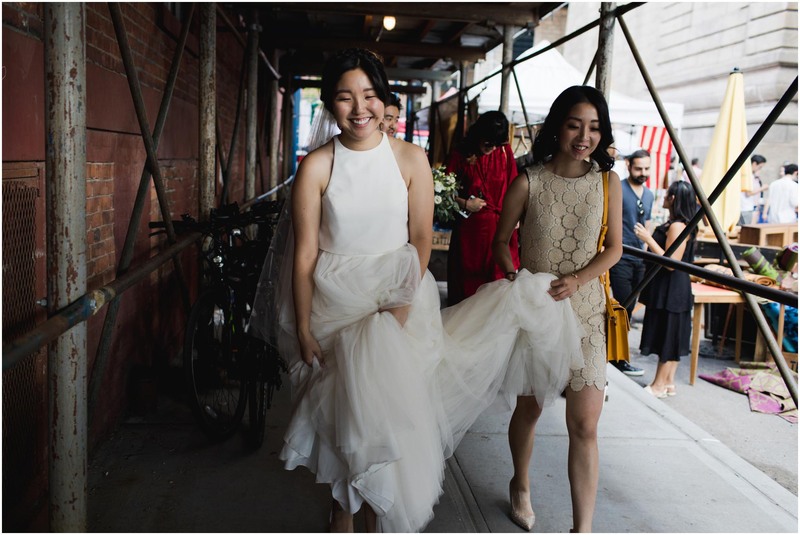 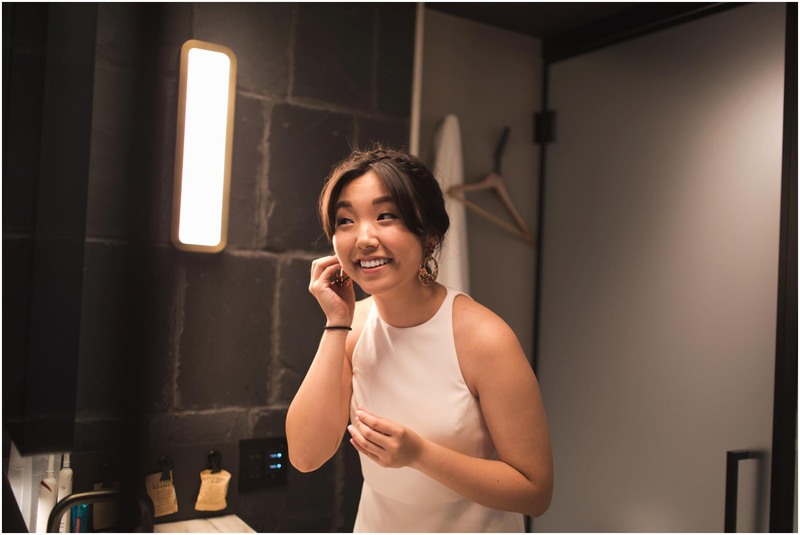 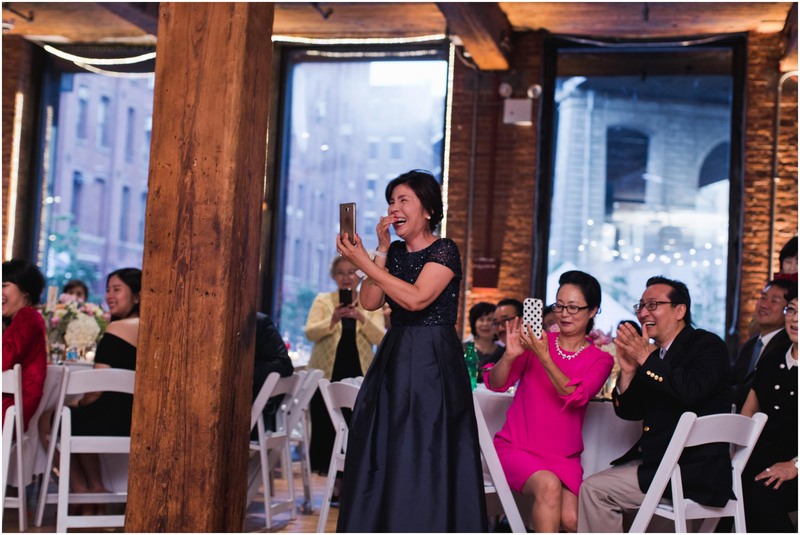 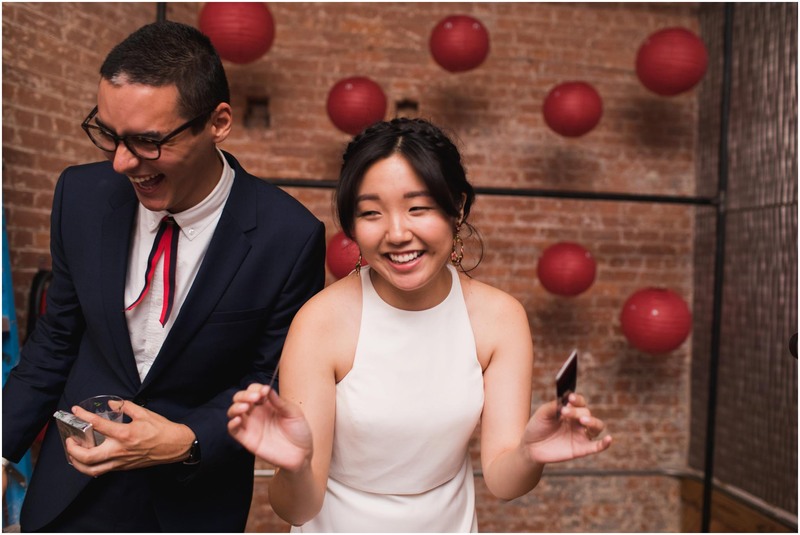 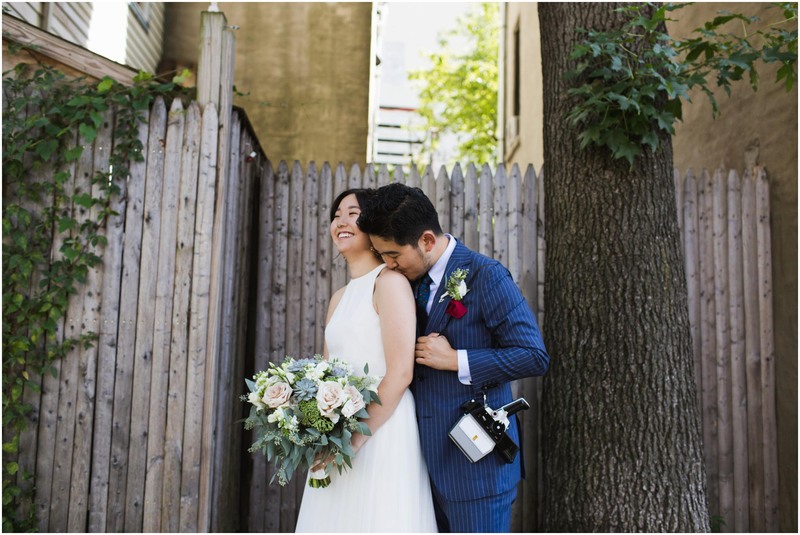 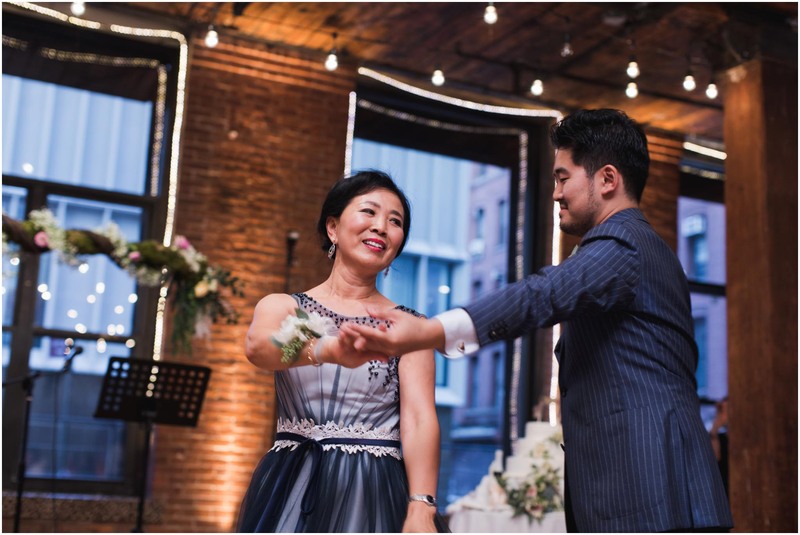 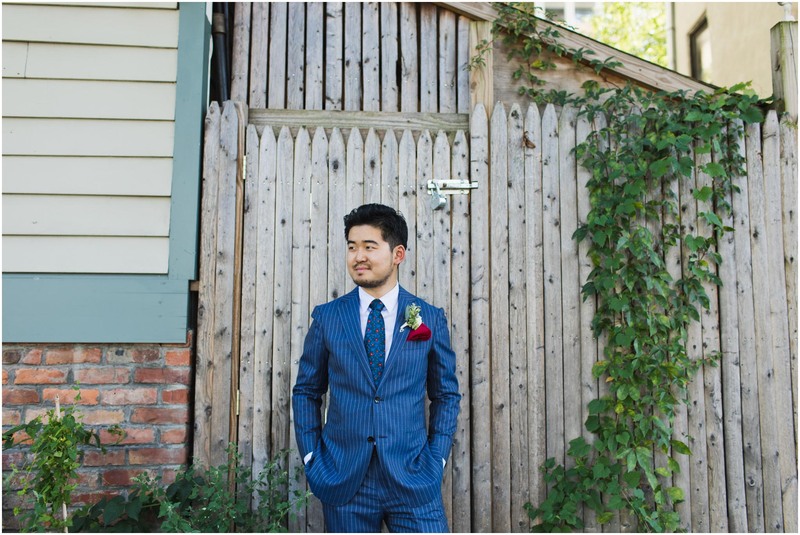 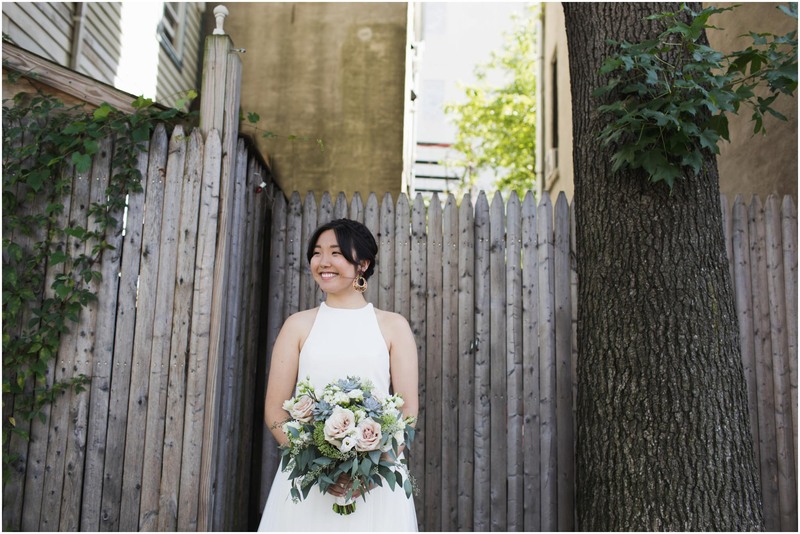 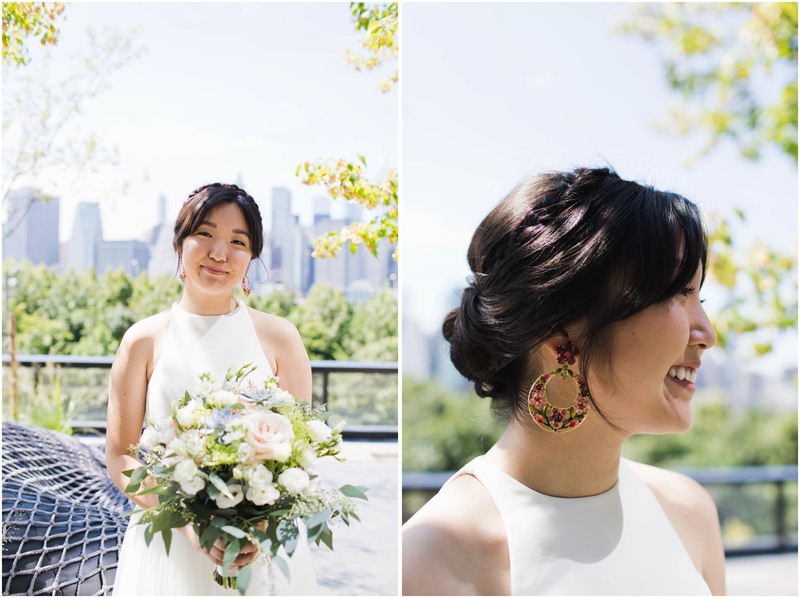 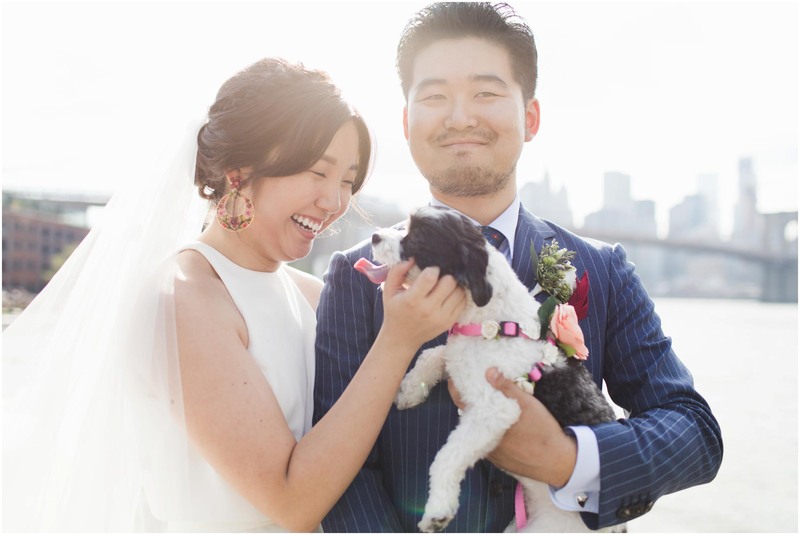 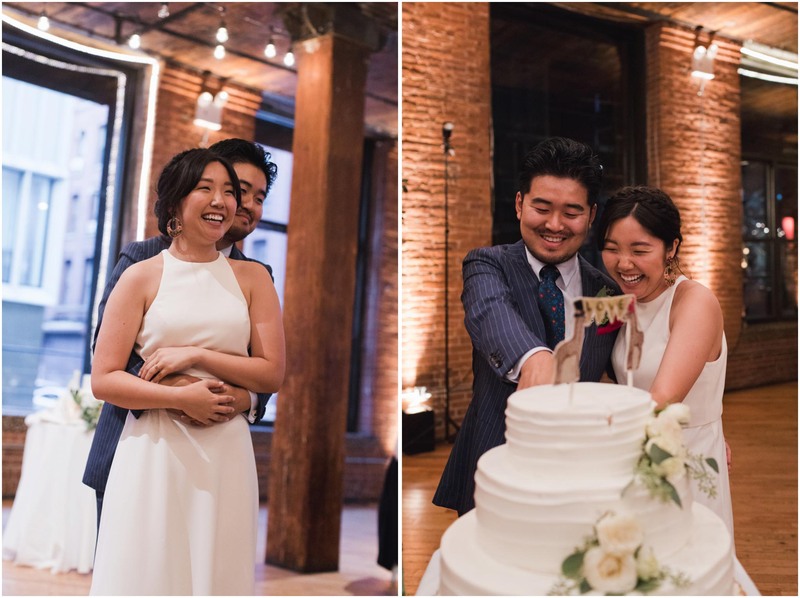 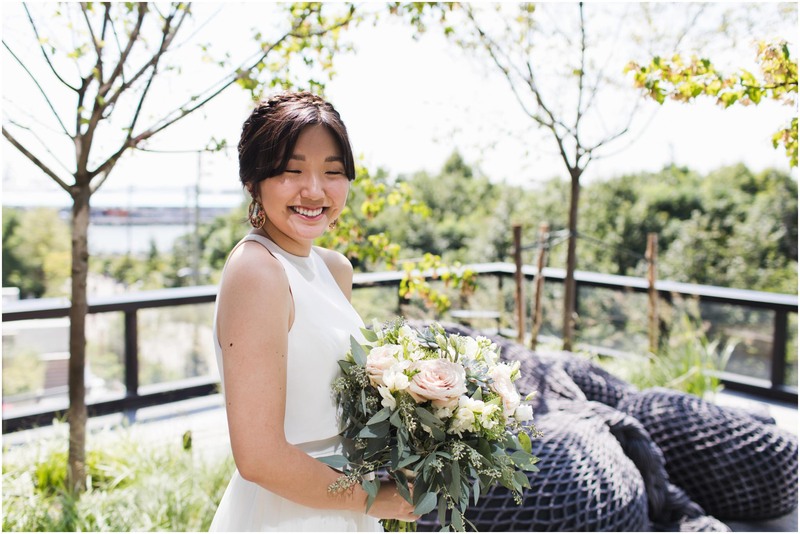 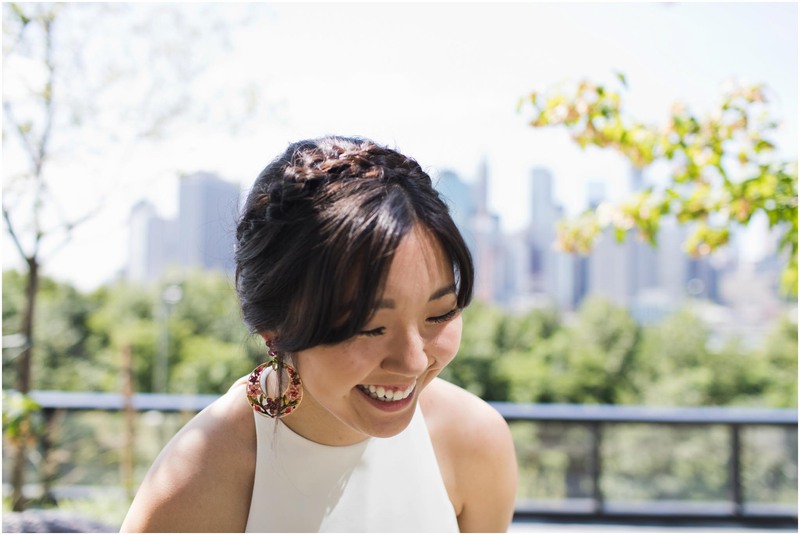 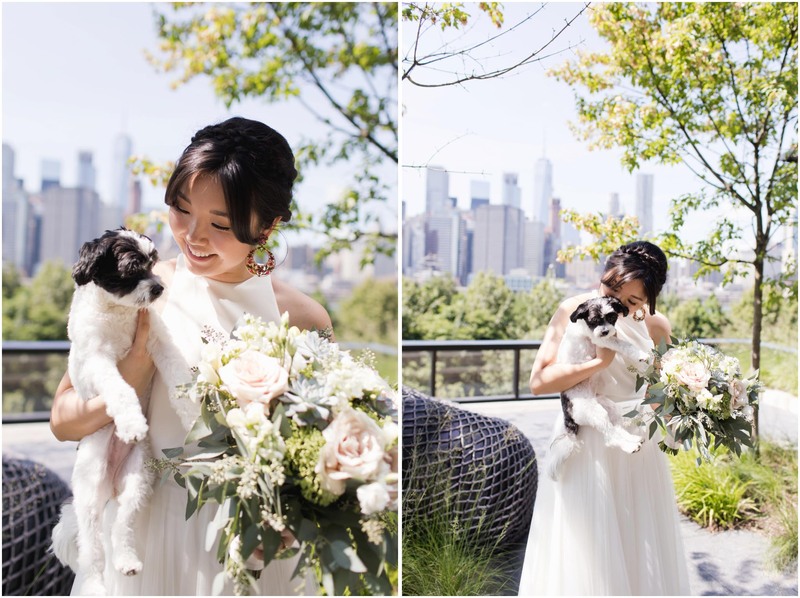 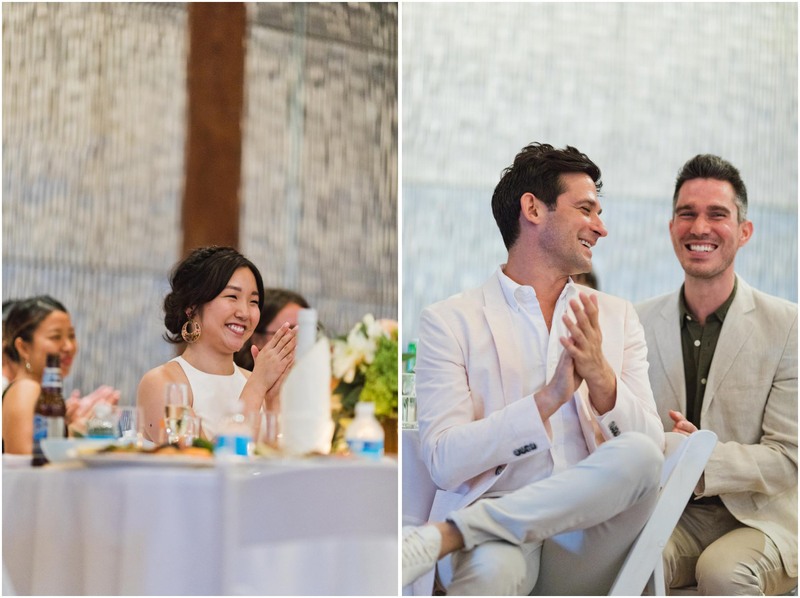 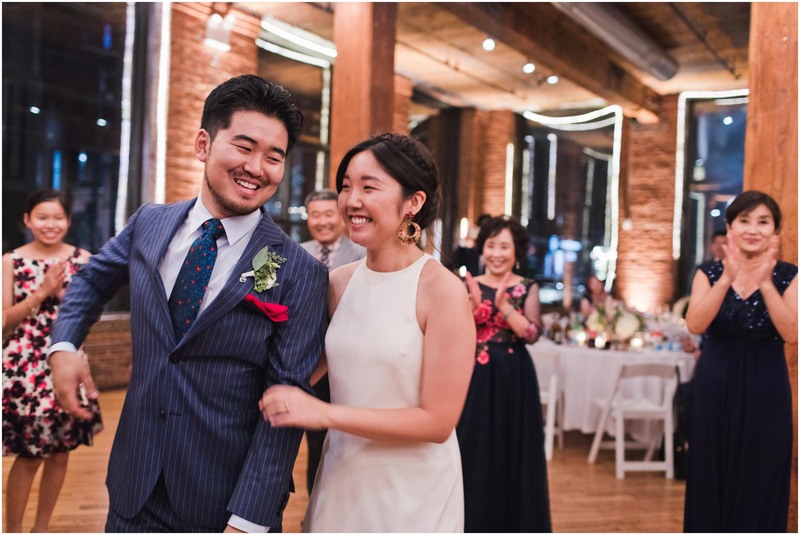 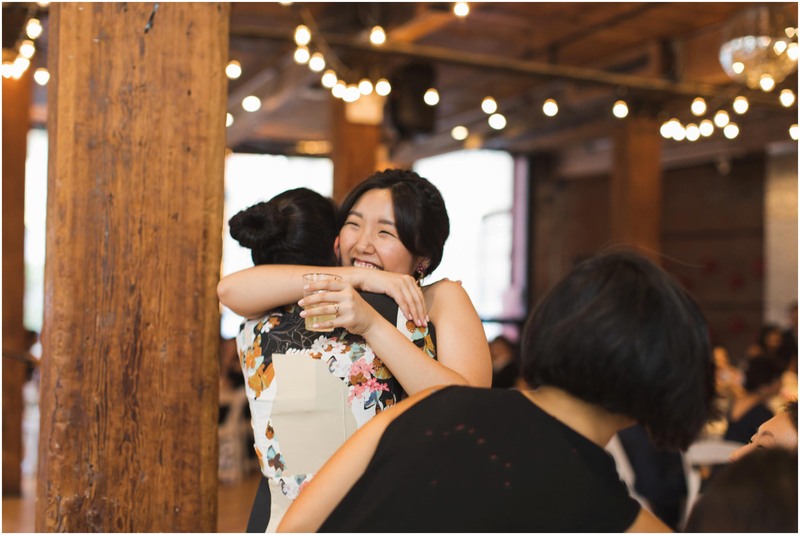 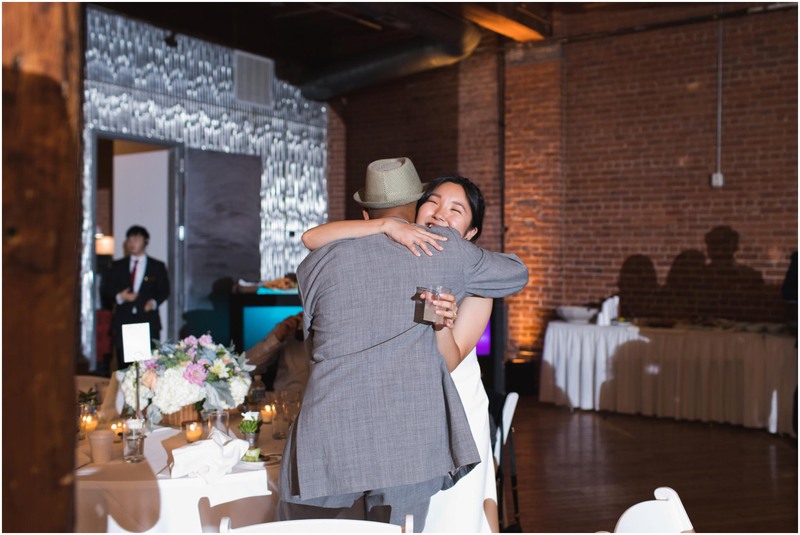 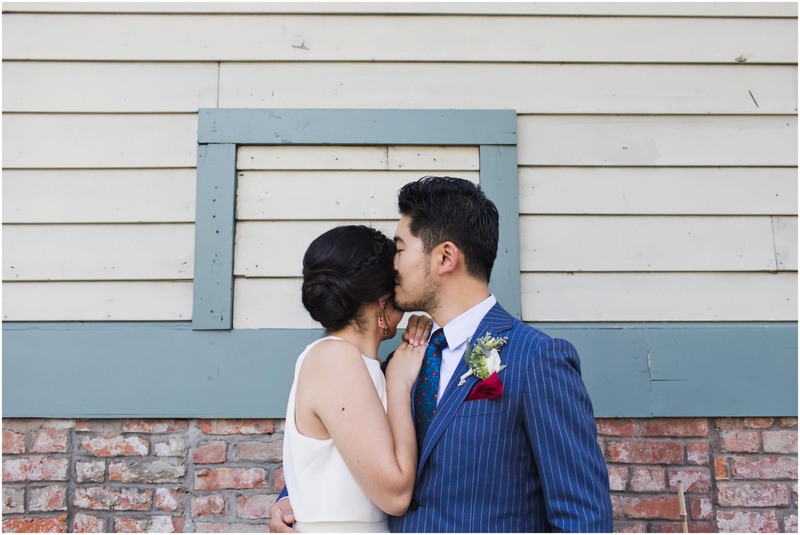 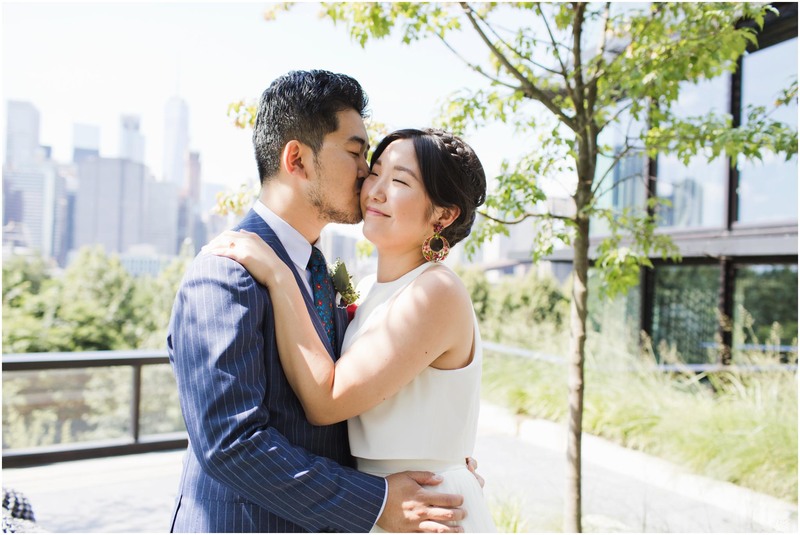 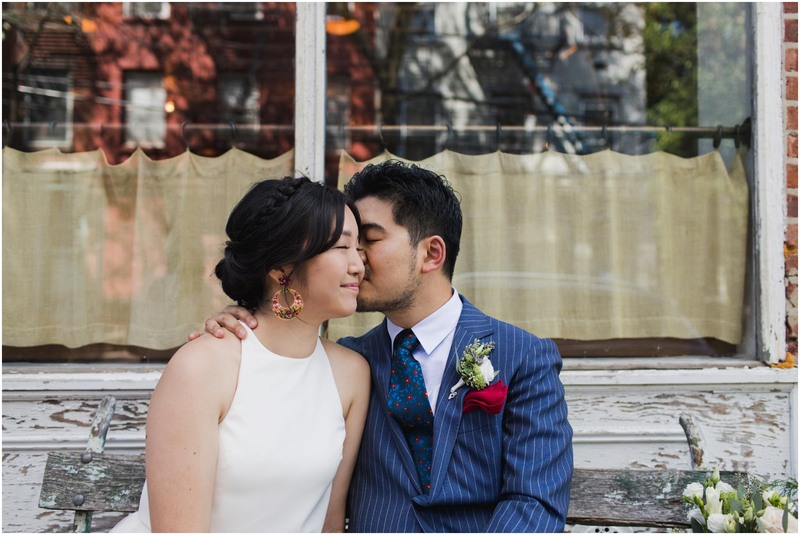 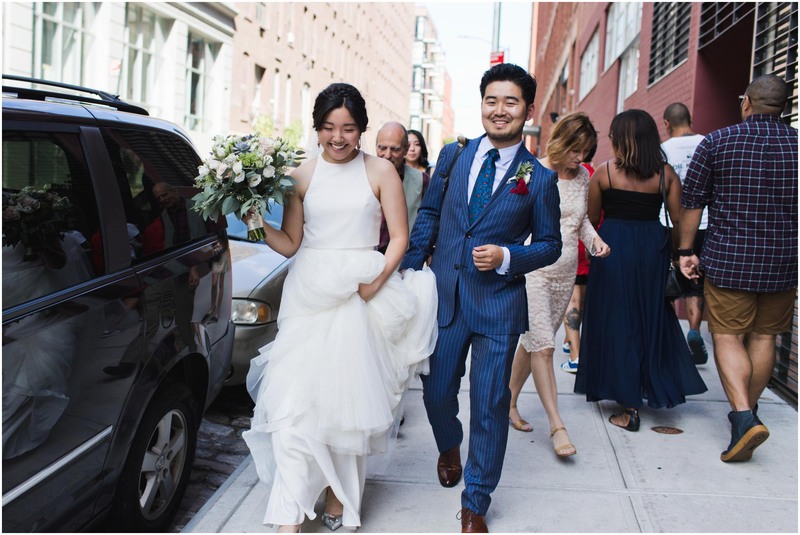 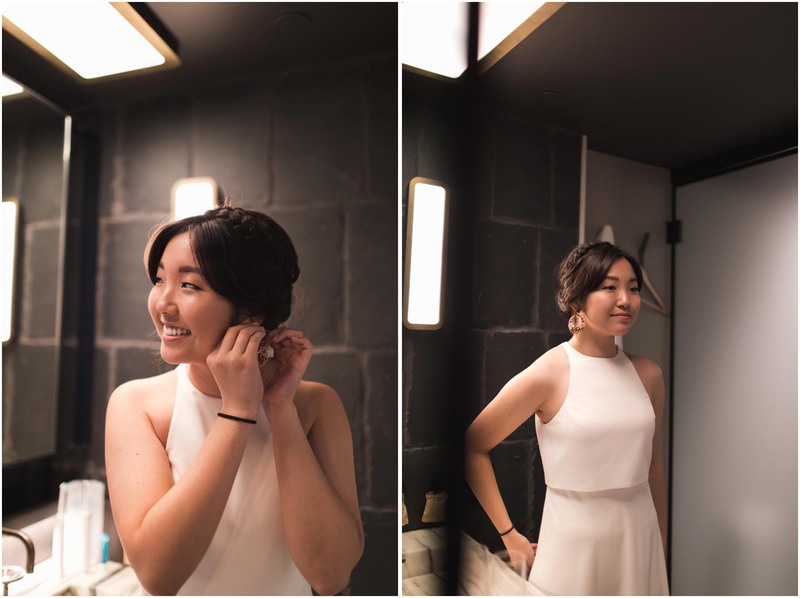 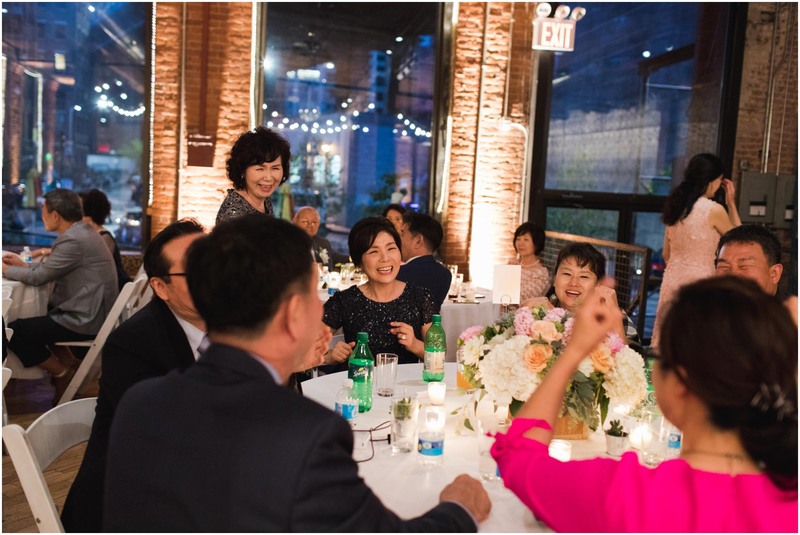 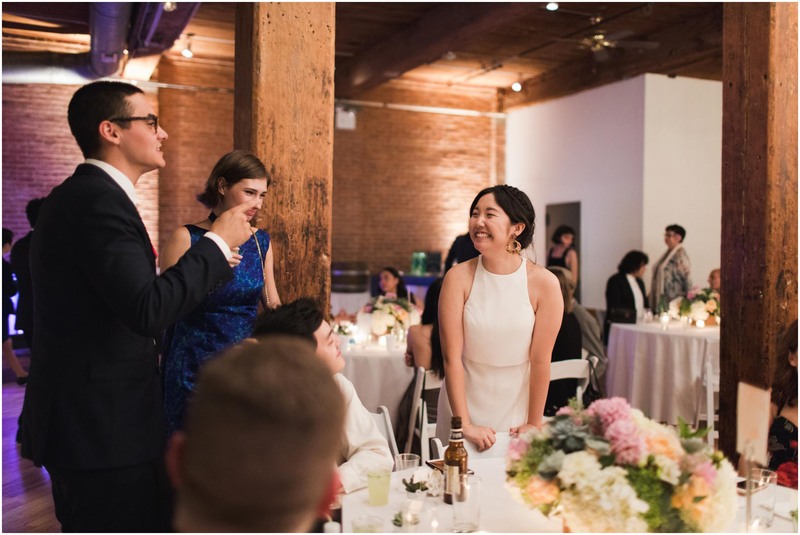 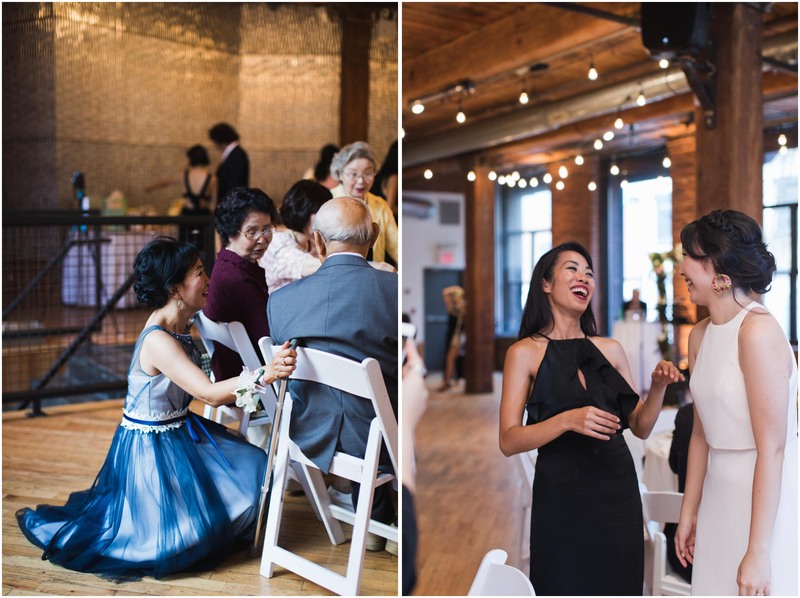 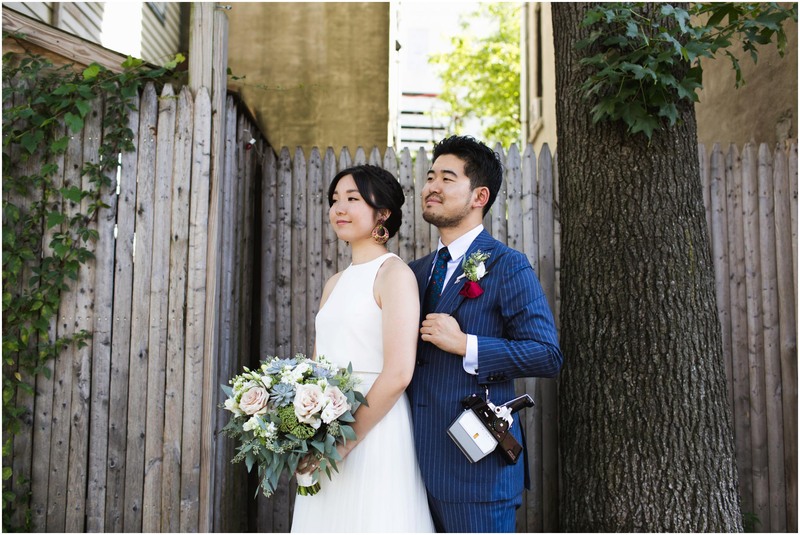 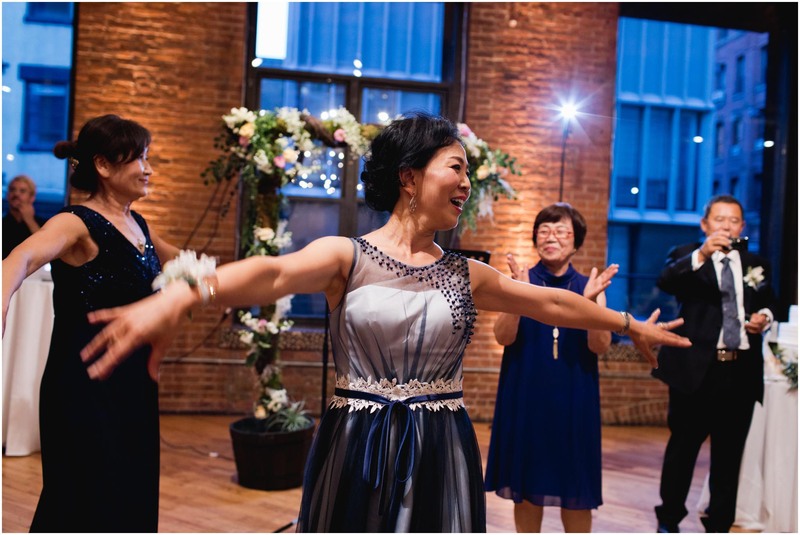 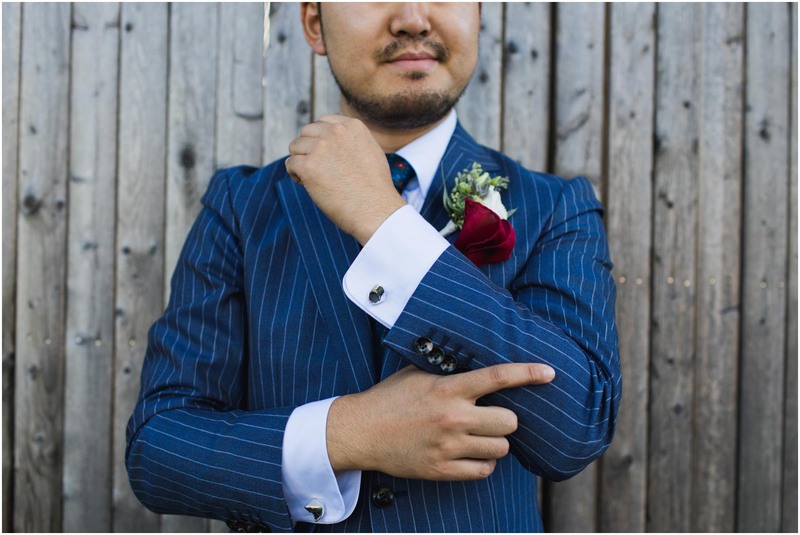 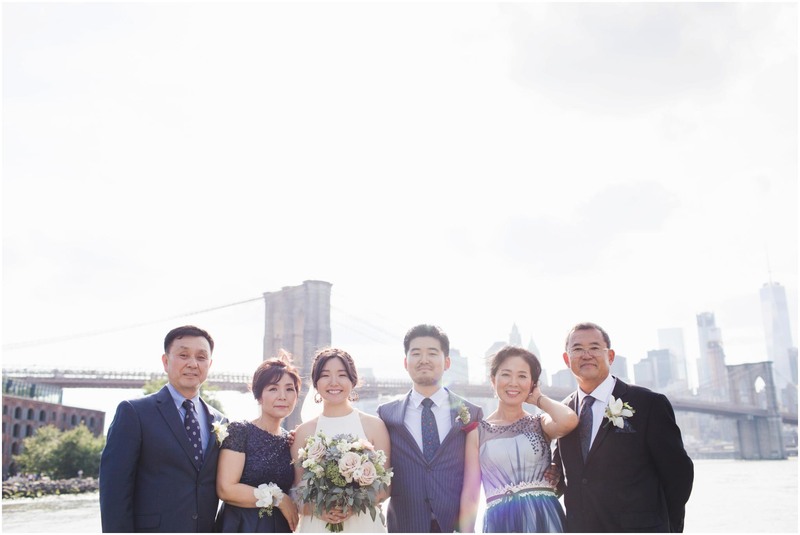 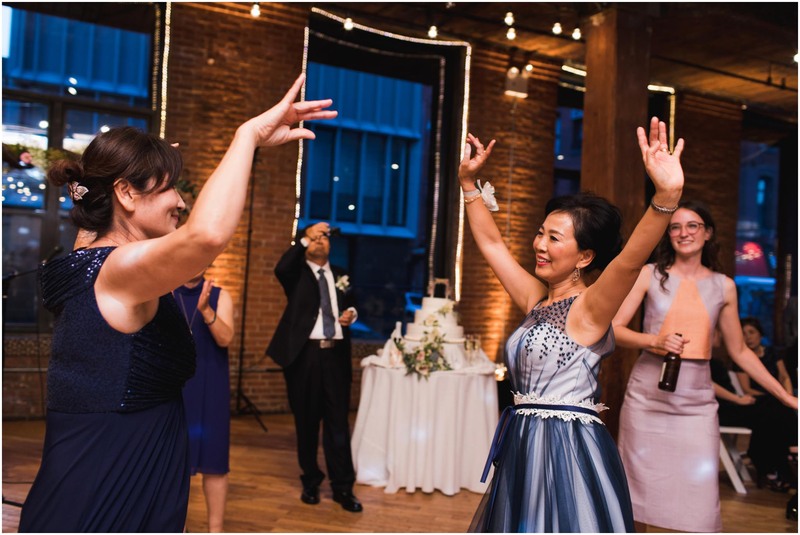 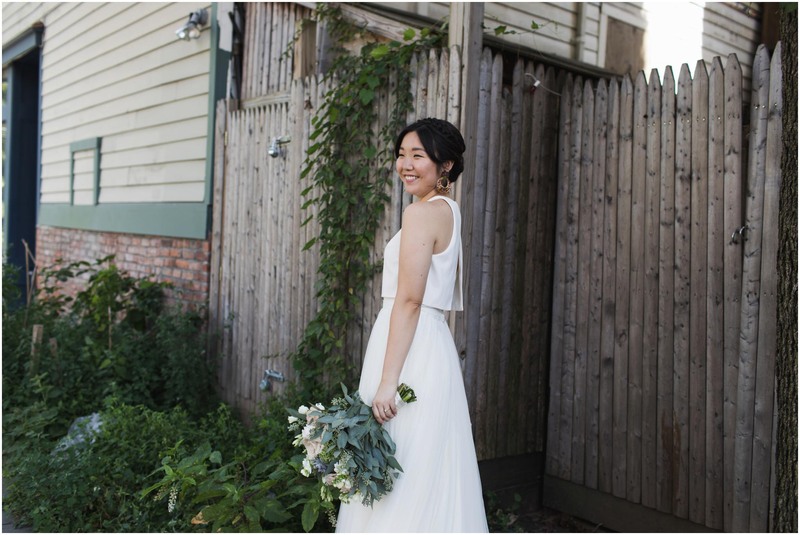 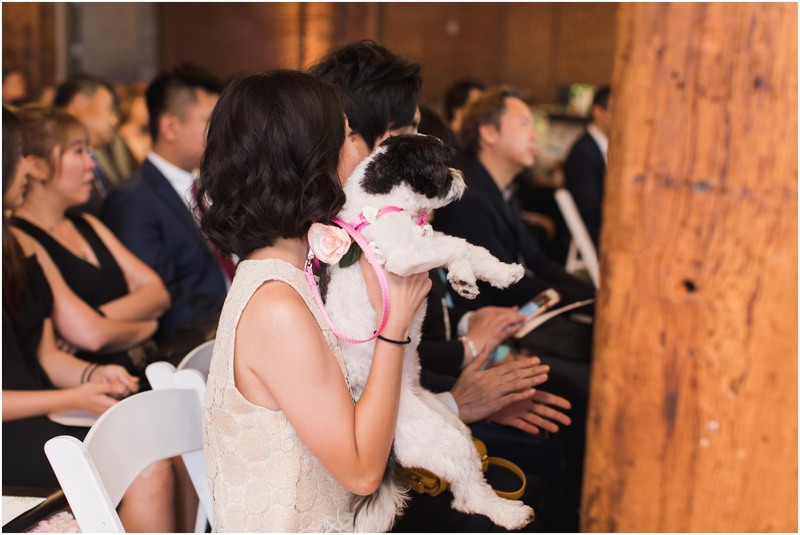 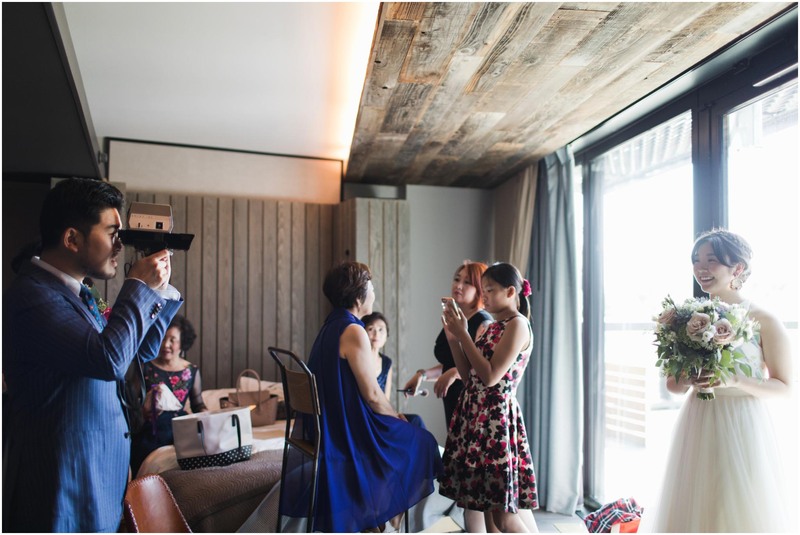 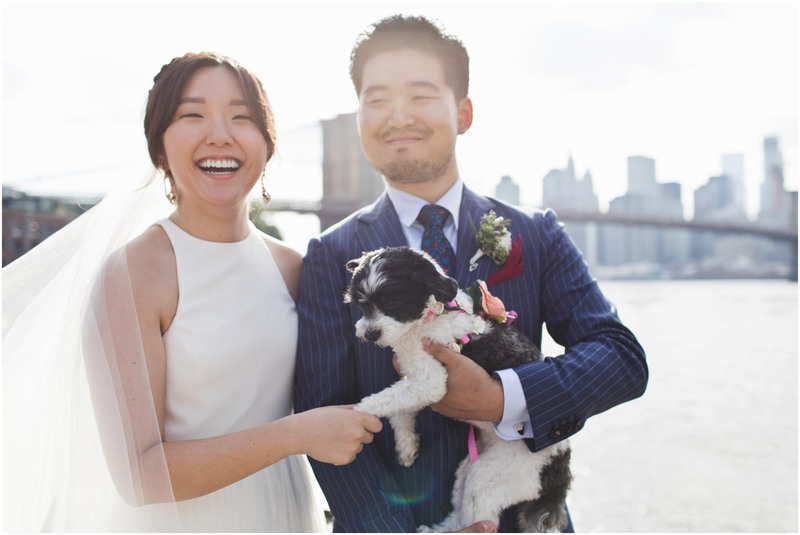 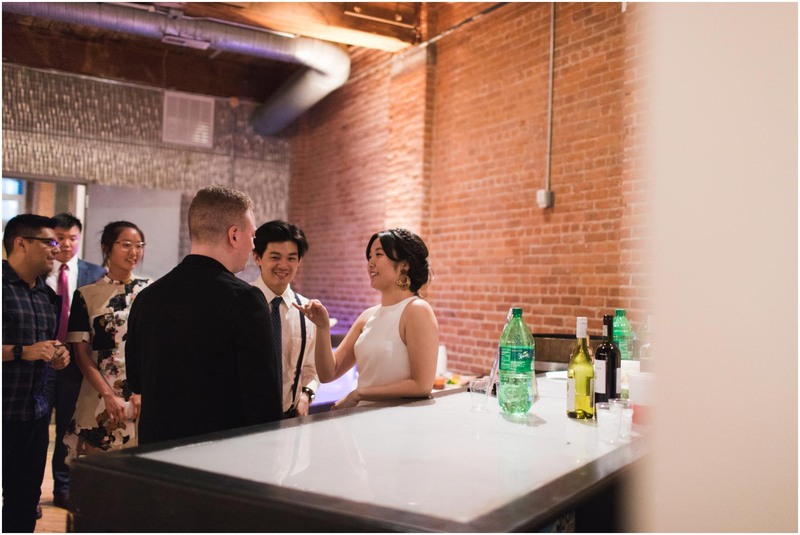 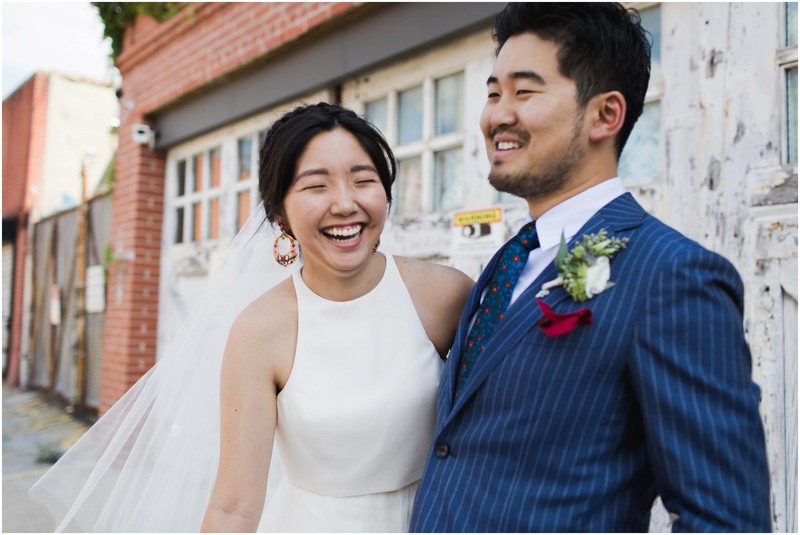 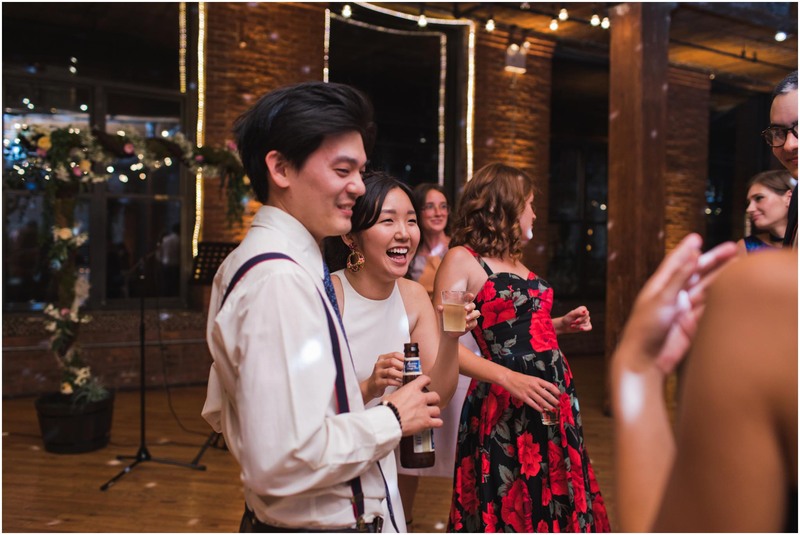 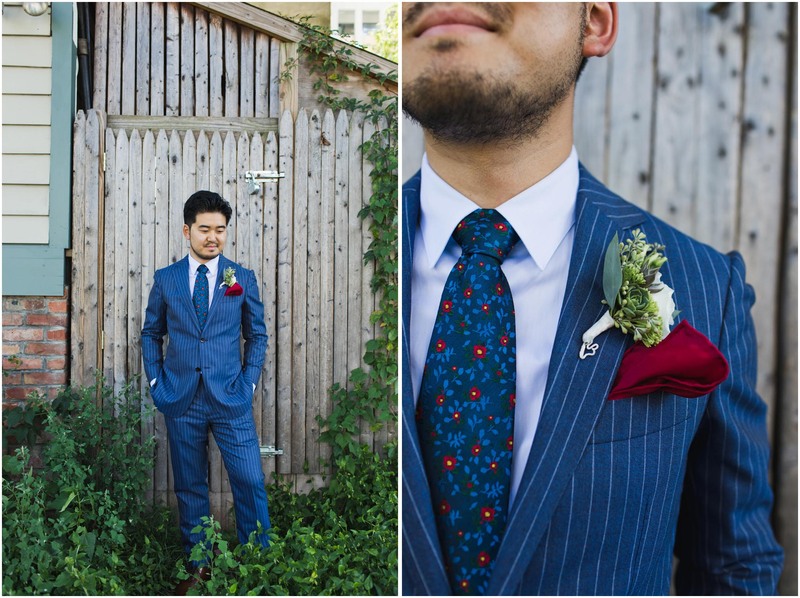 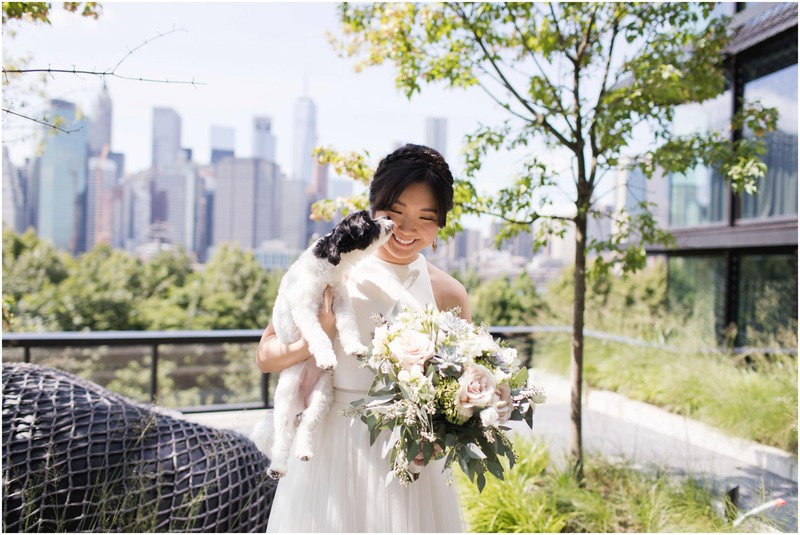 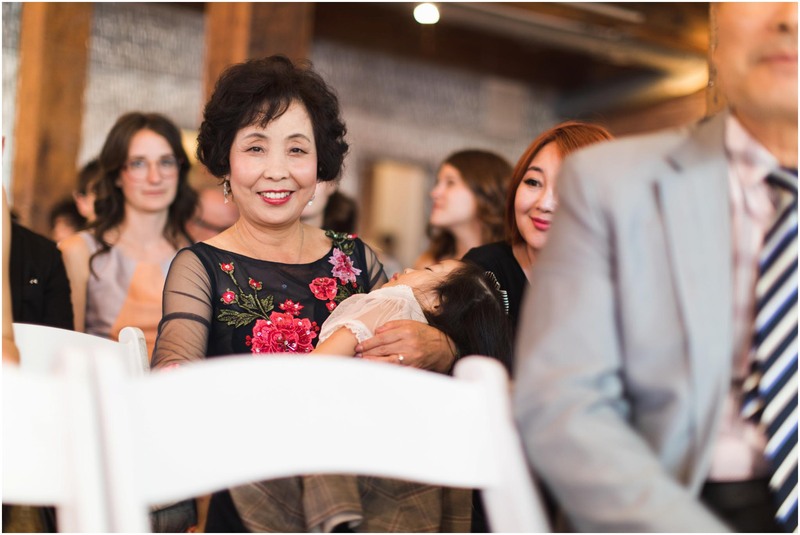 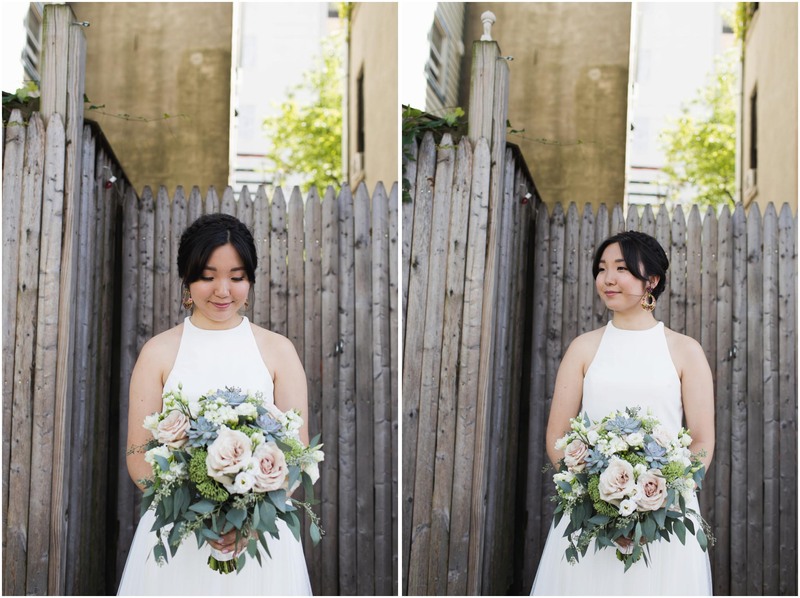 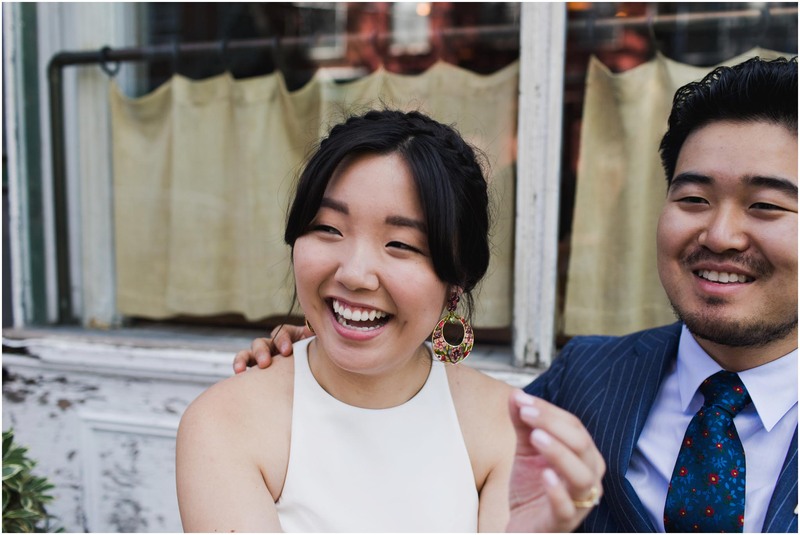 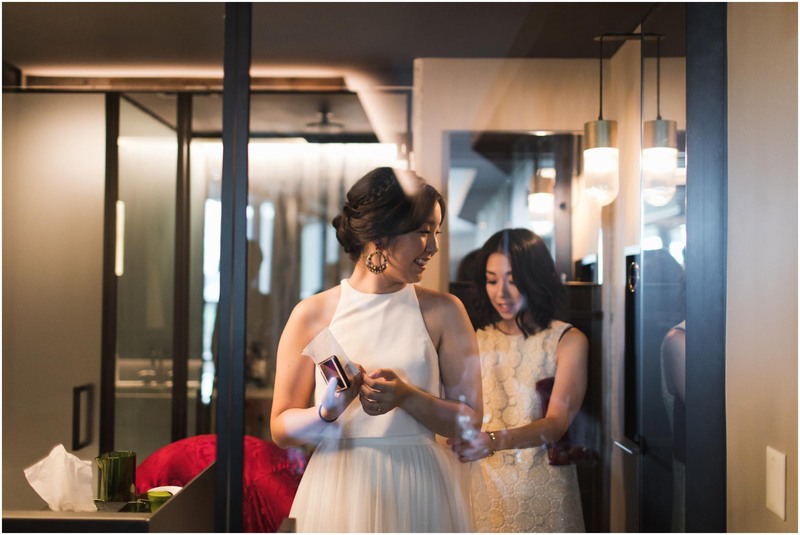 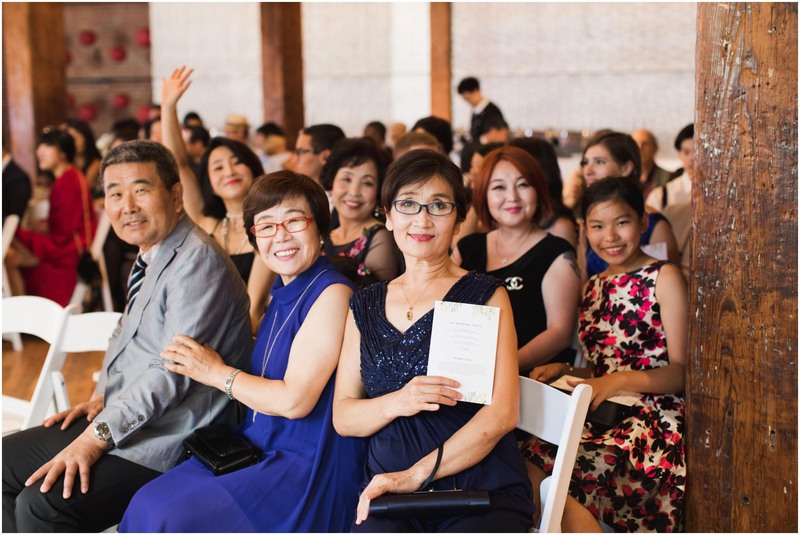 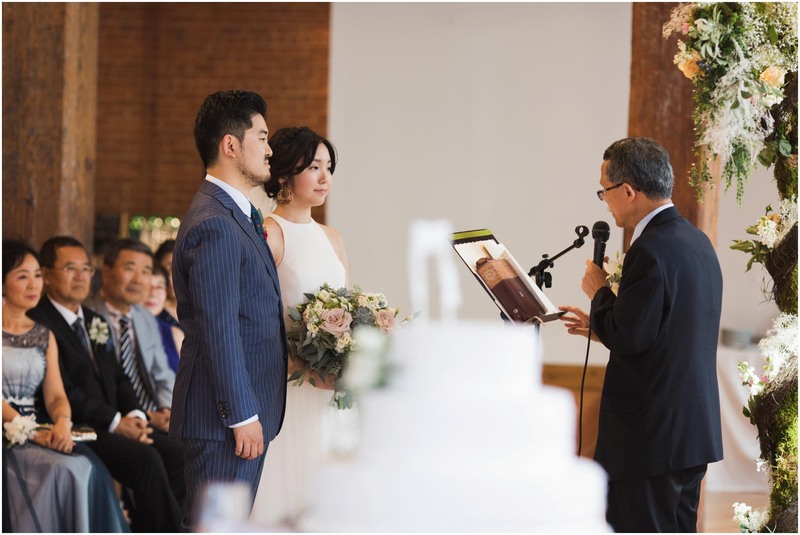 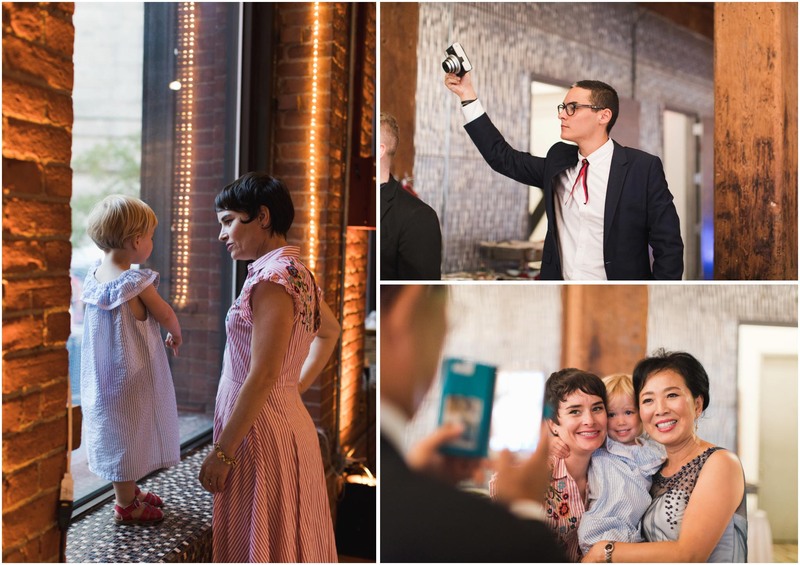 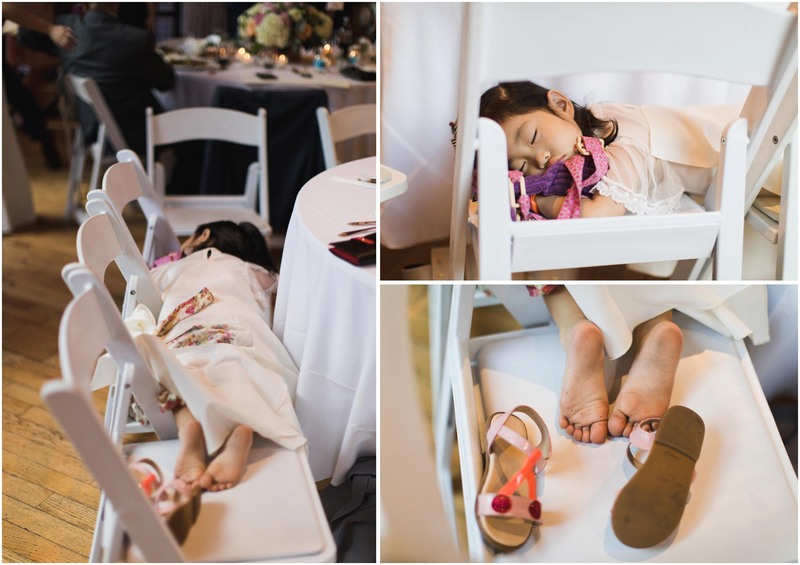 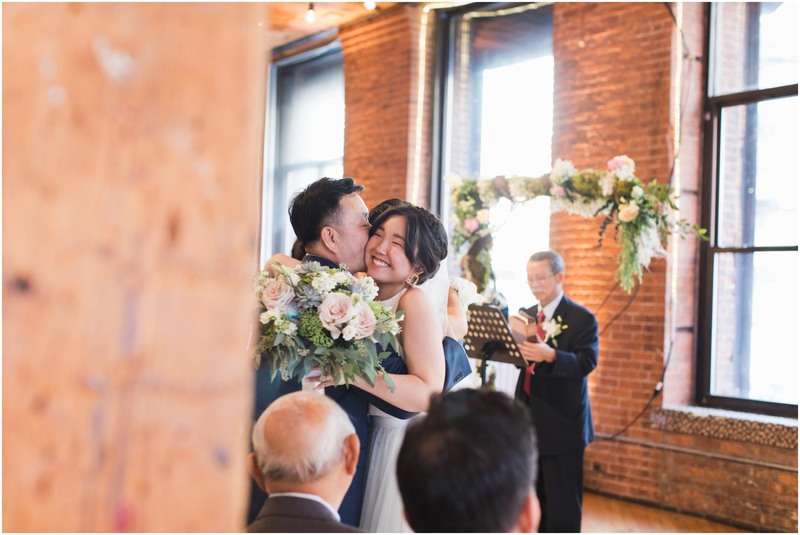 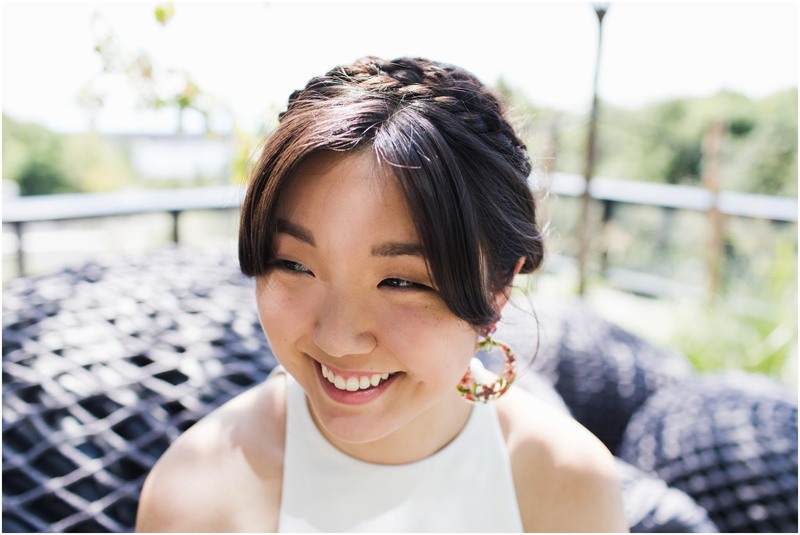 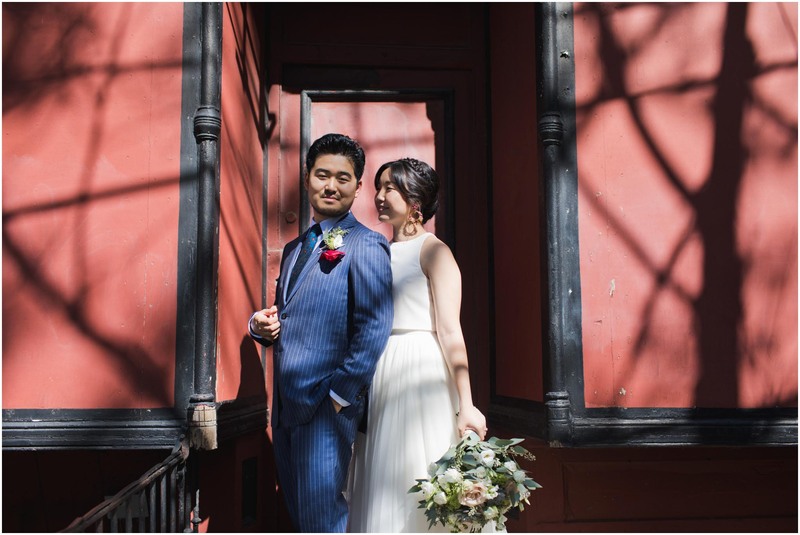 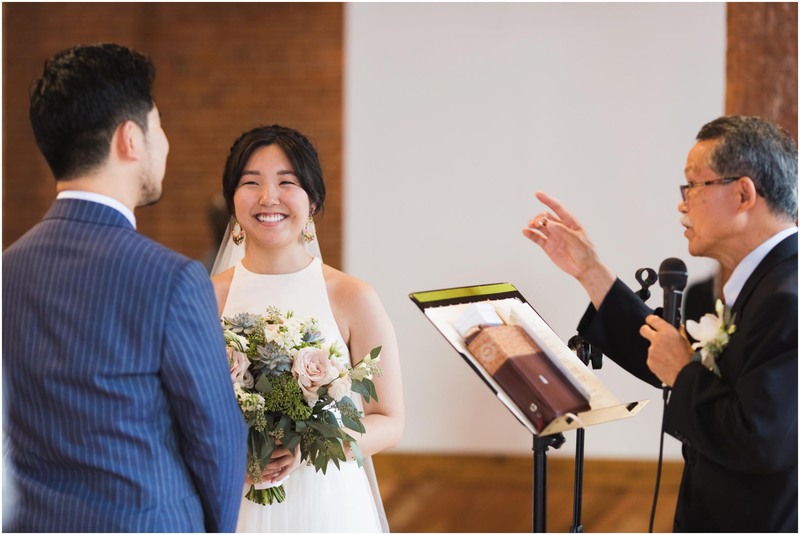 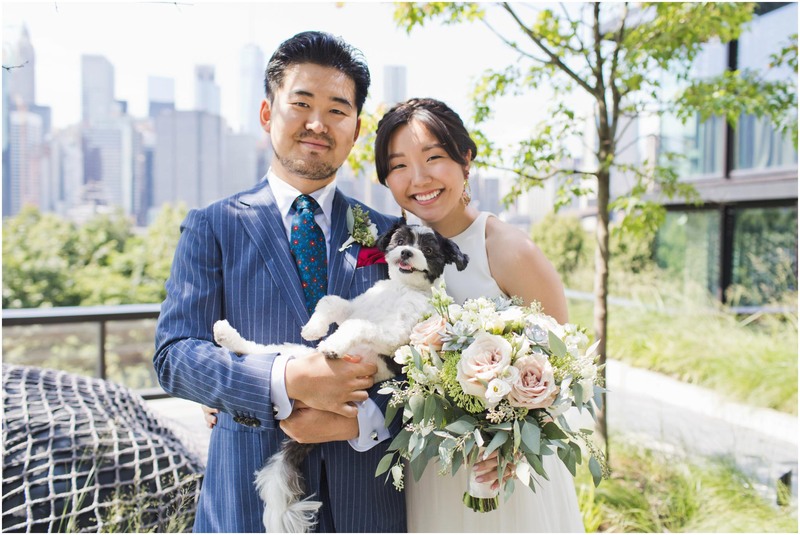 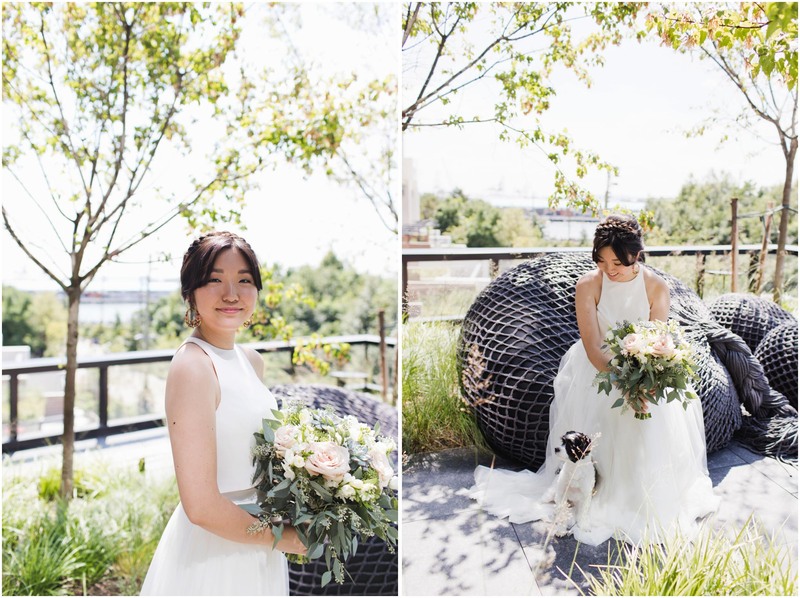 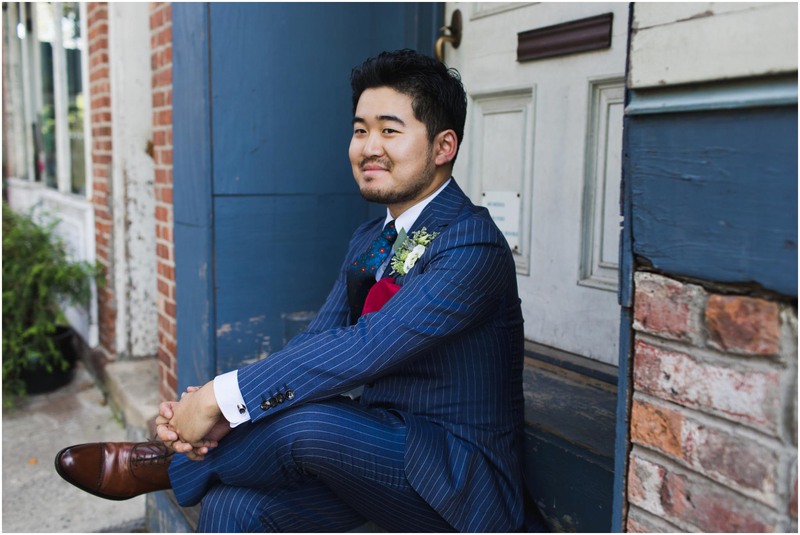 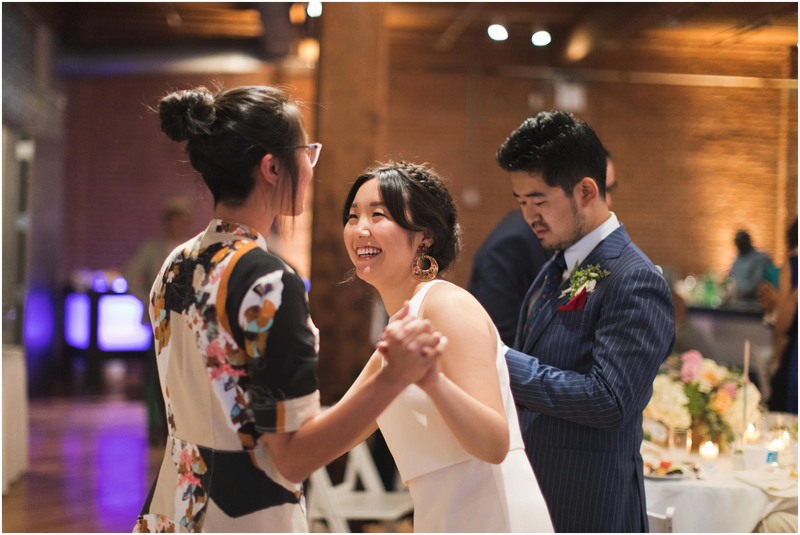 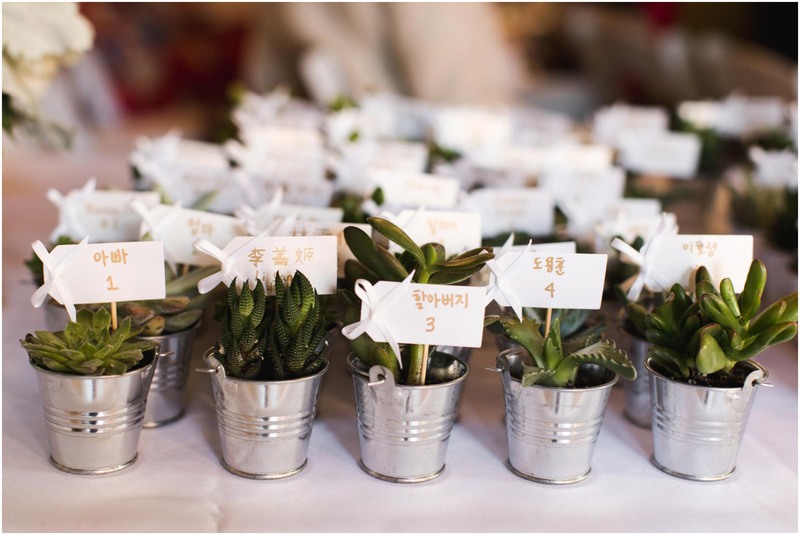 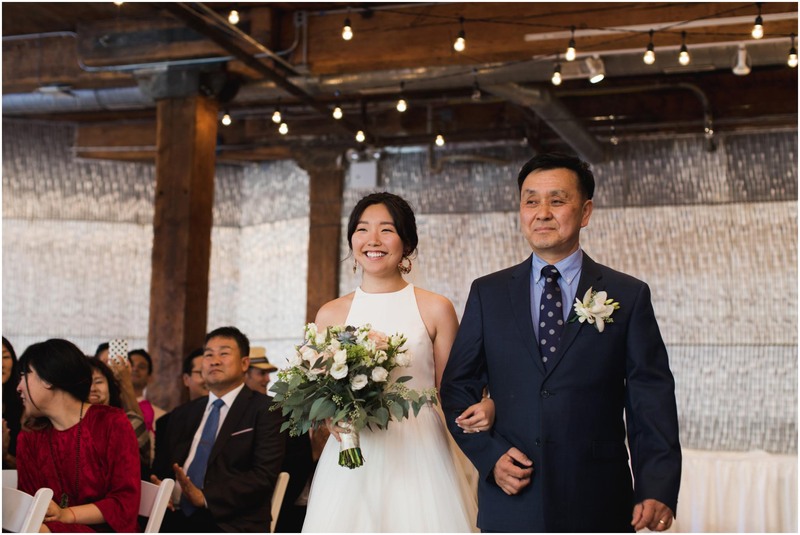 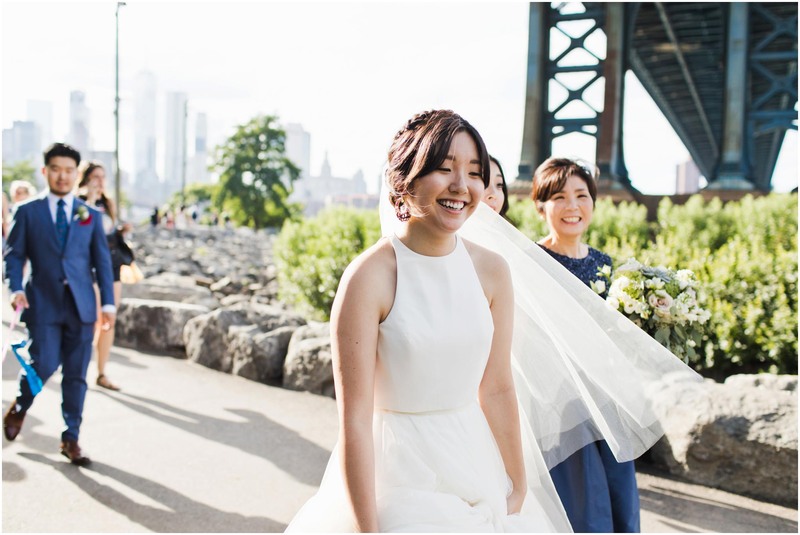 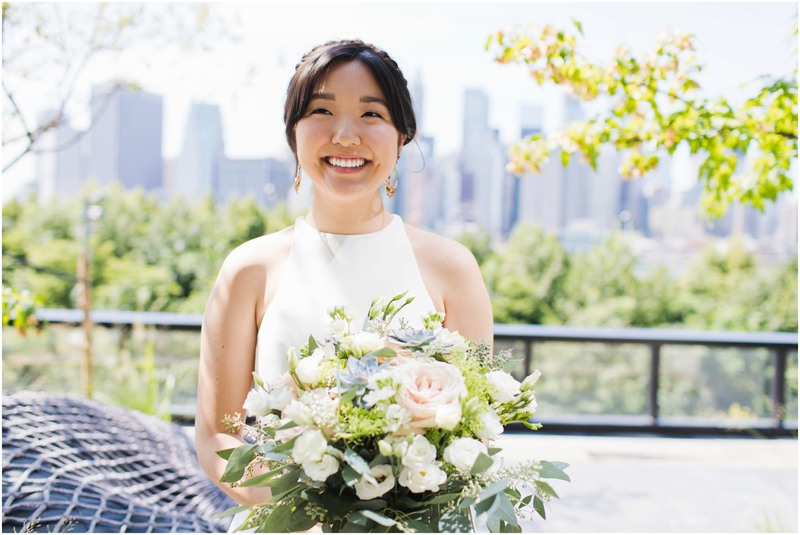 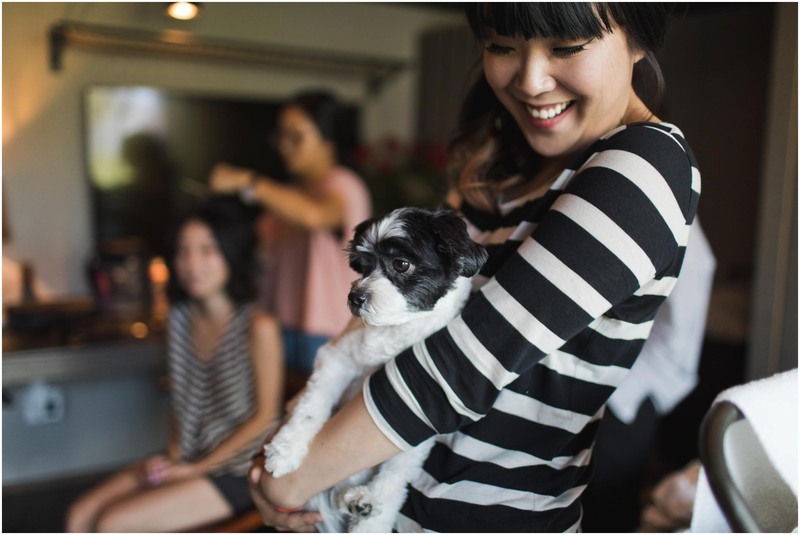 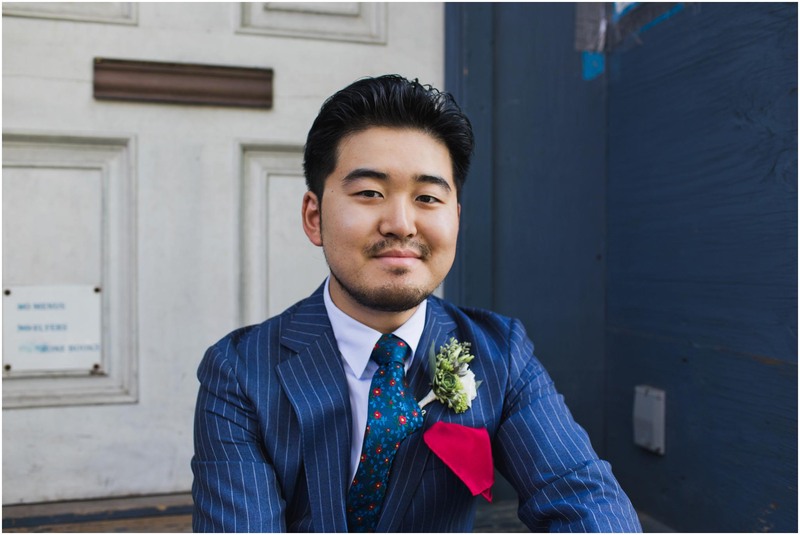 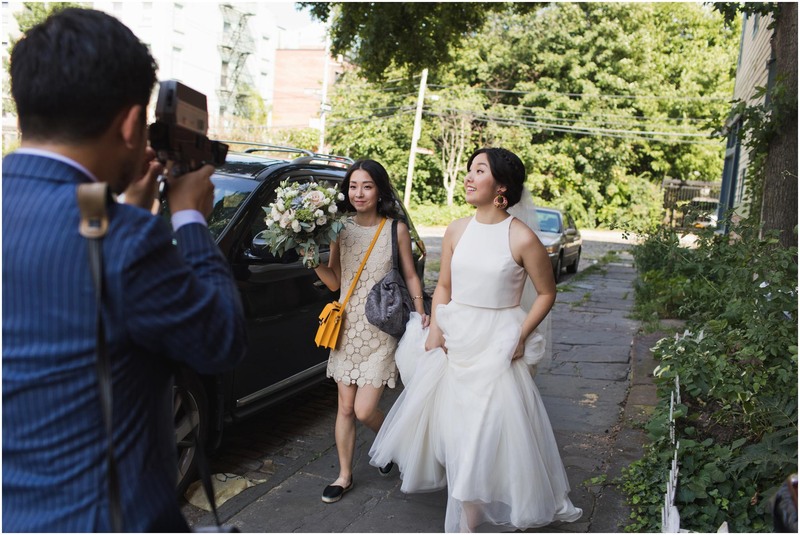 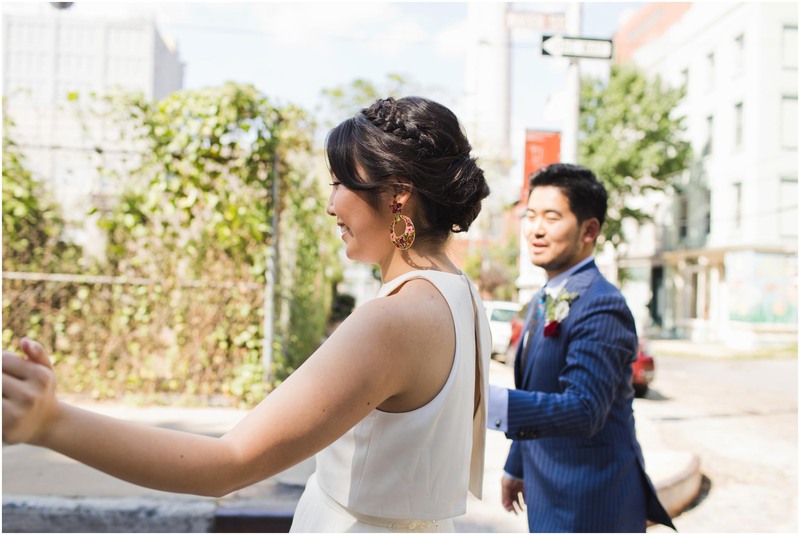 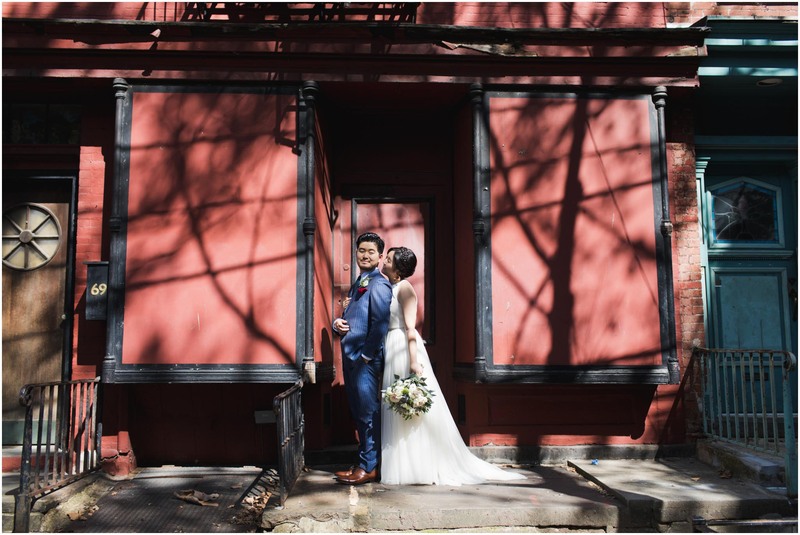 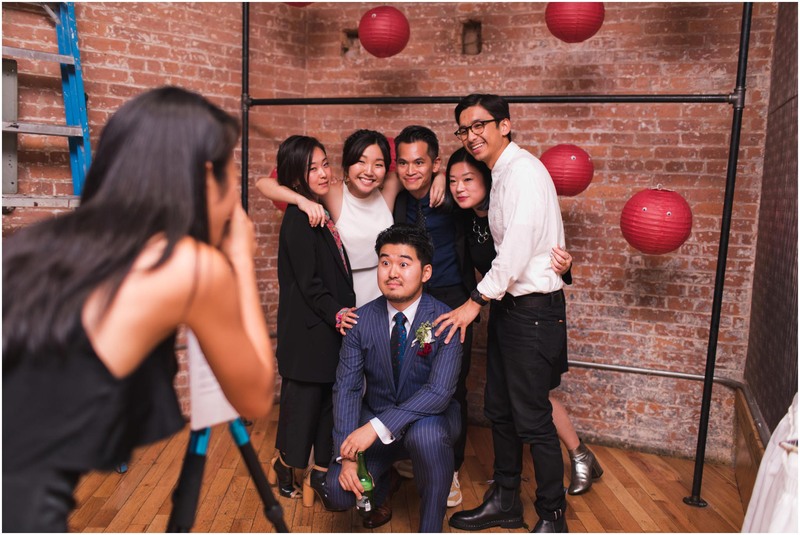 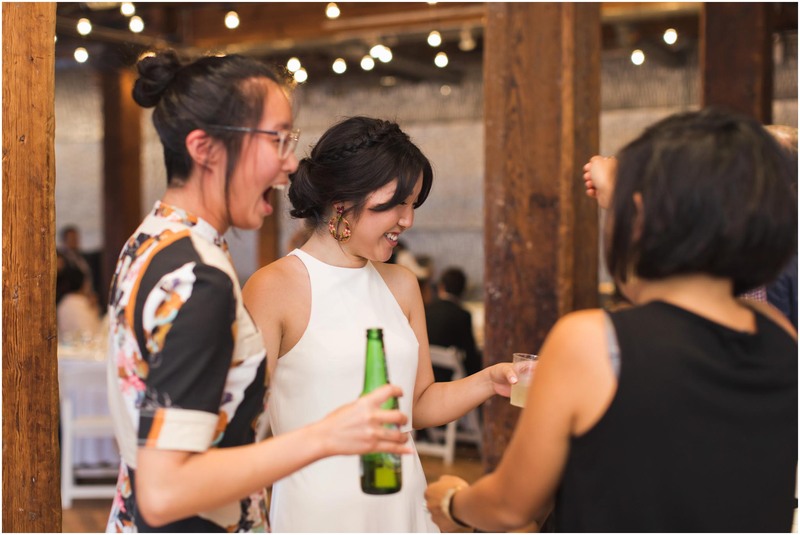 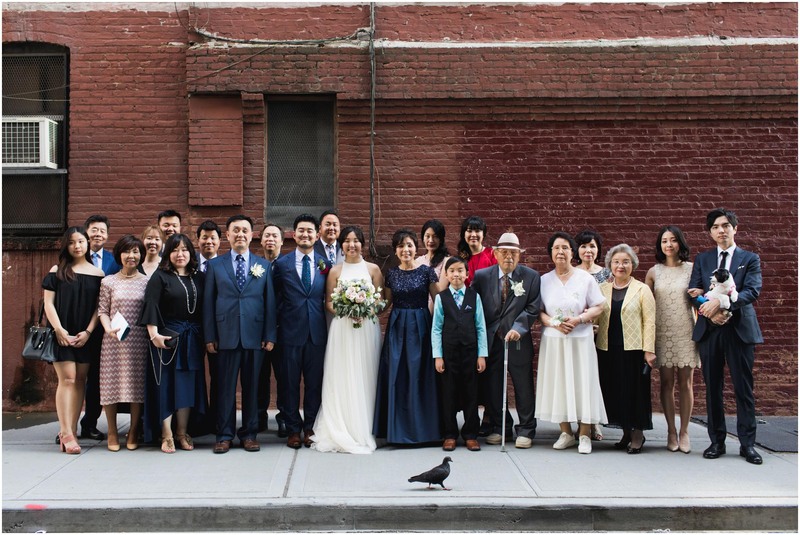 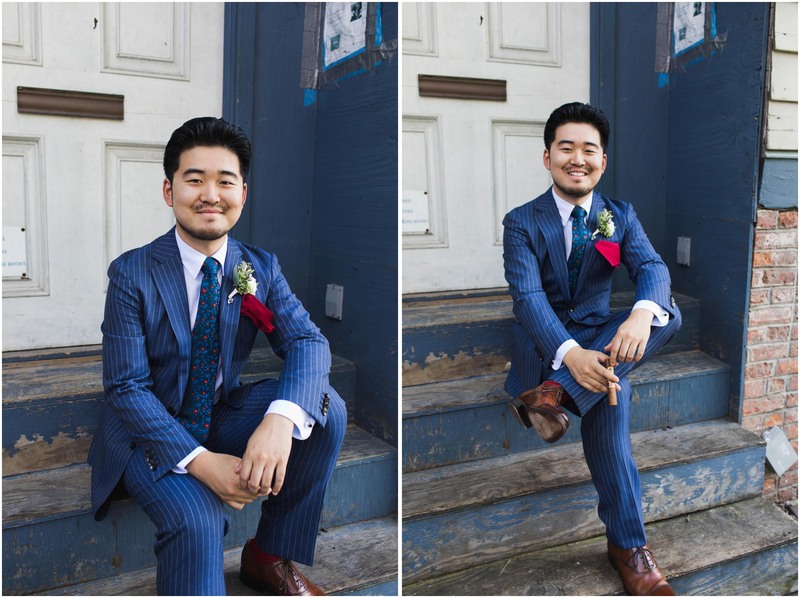 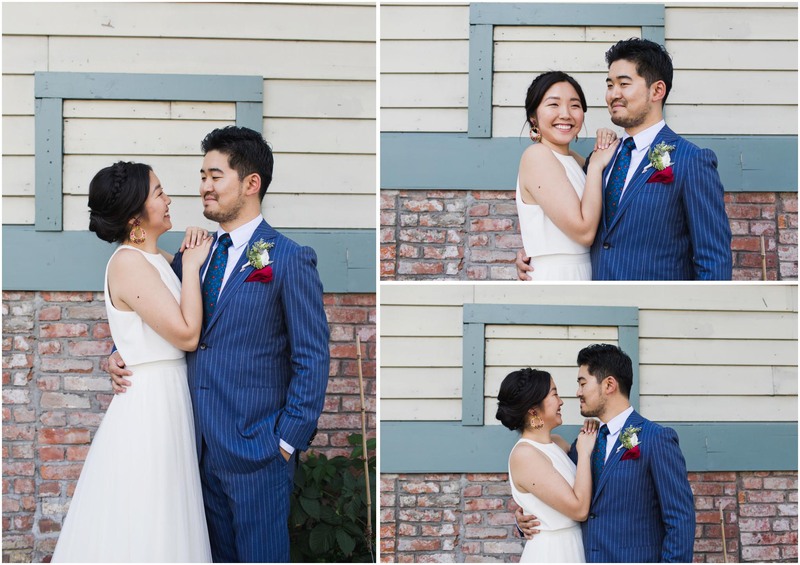 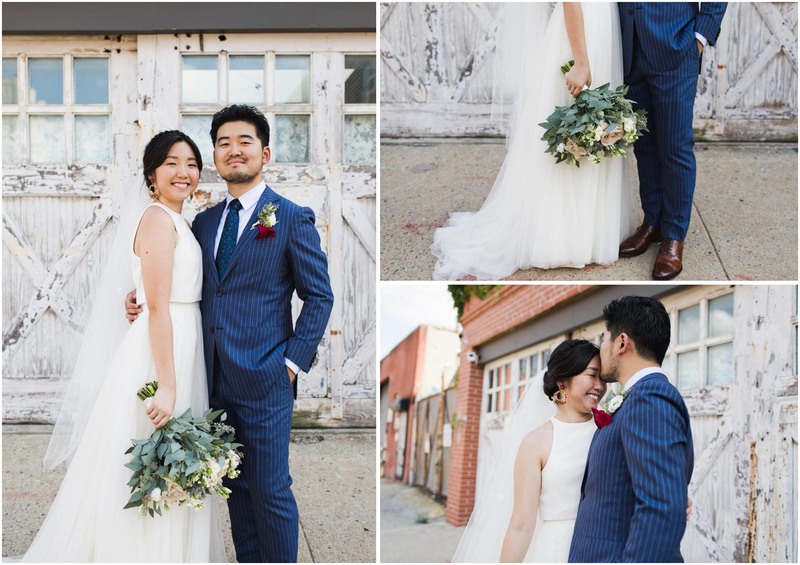 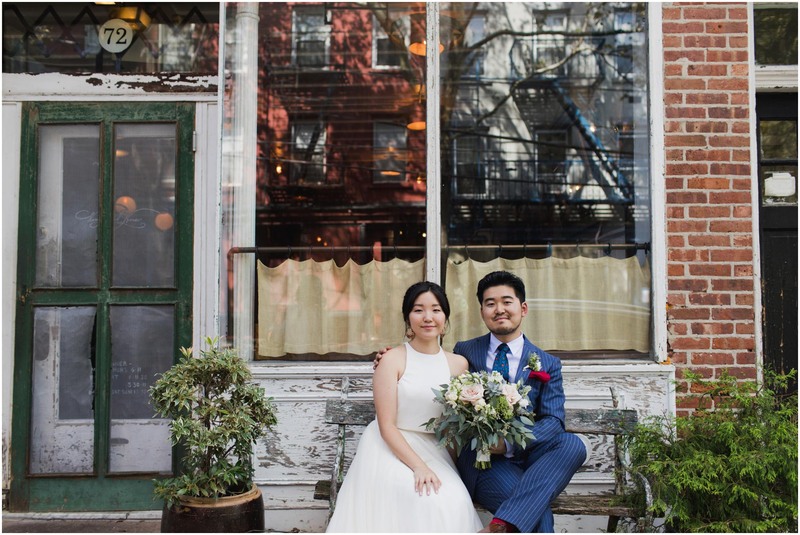 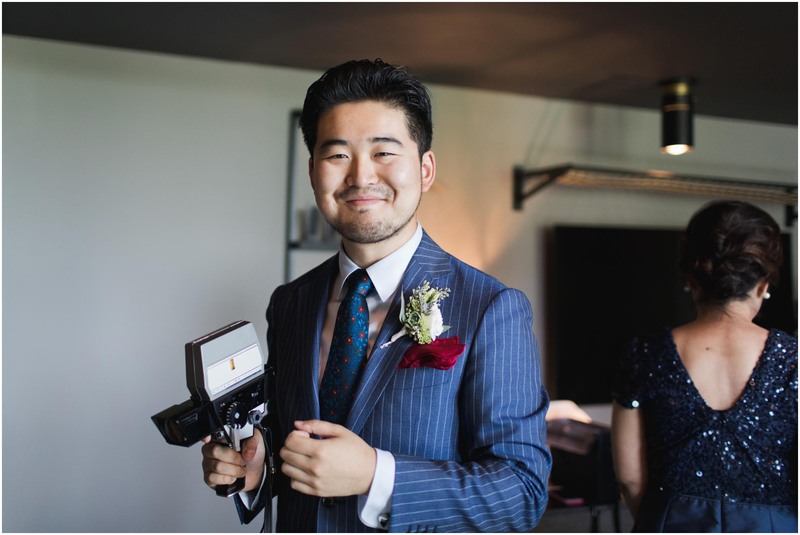 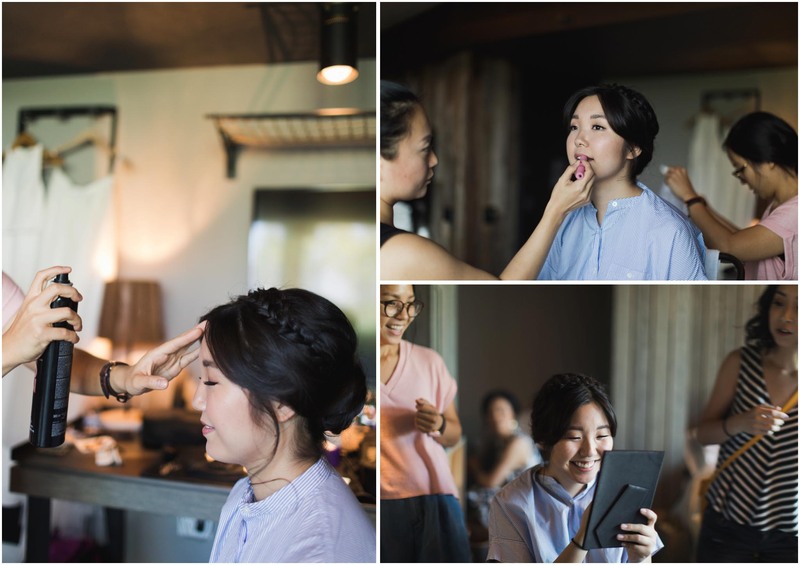 Their wedding was a casual and family-centric celebration that honored their Korean and Chinese backgrounds. 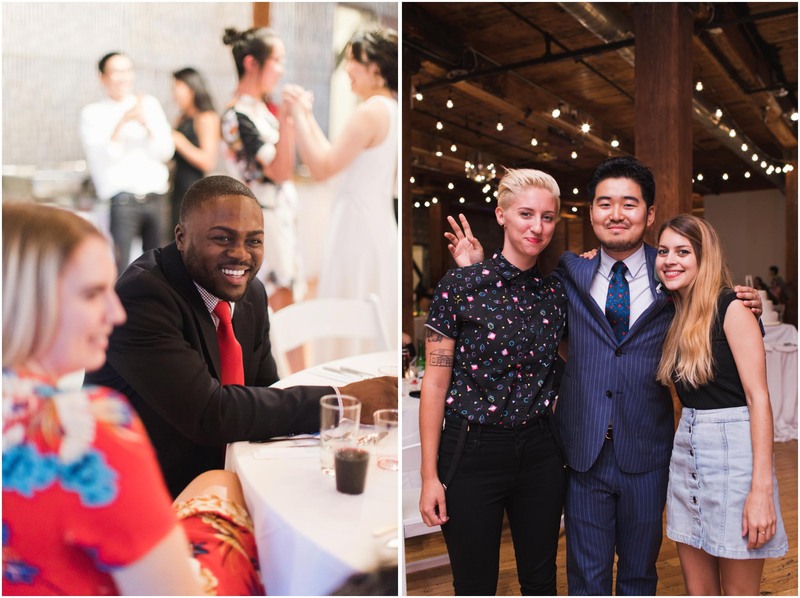 I had so much fun, I’m really grateful to have been surrounded by so many awesome guests.